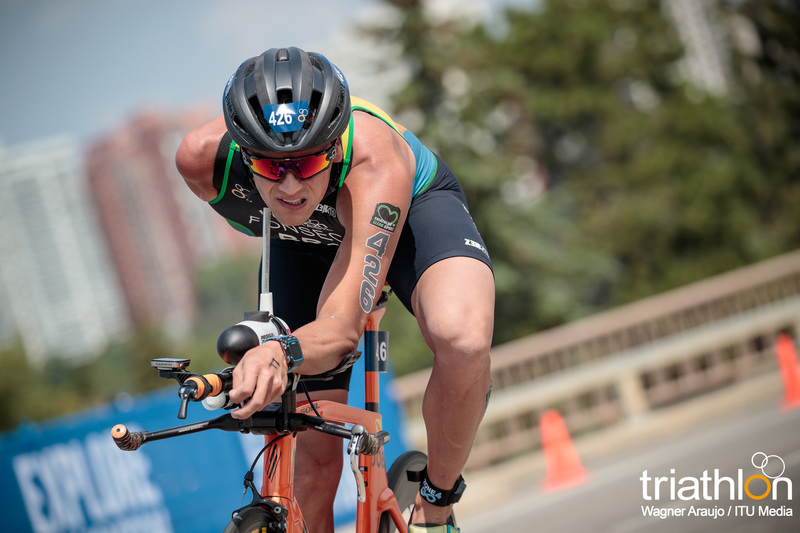 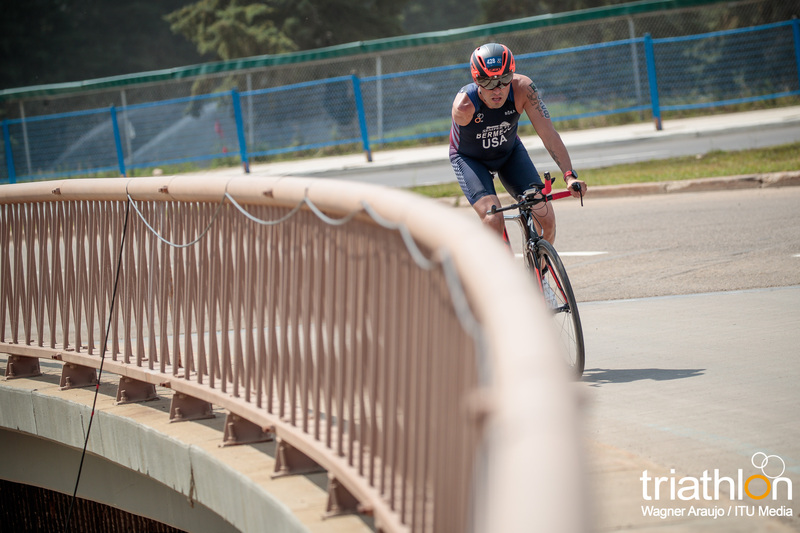 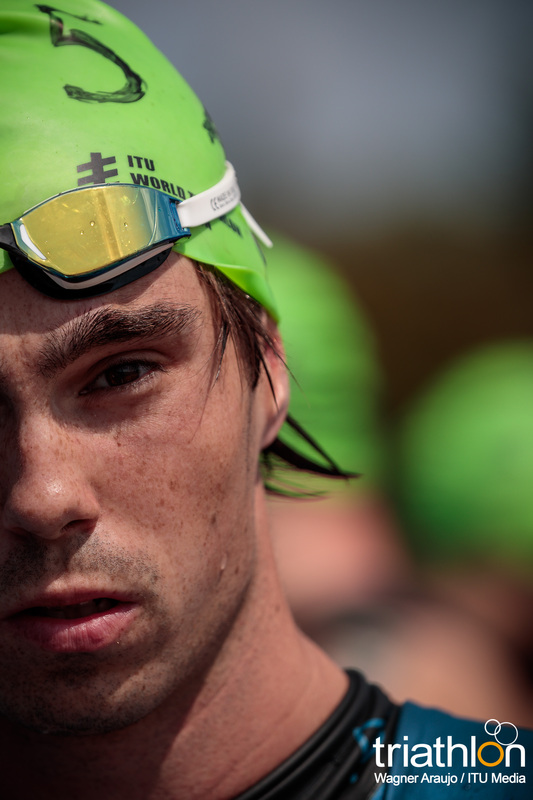 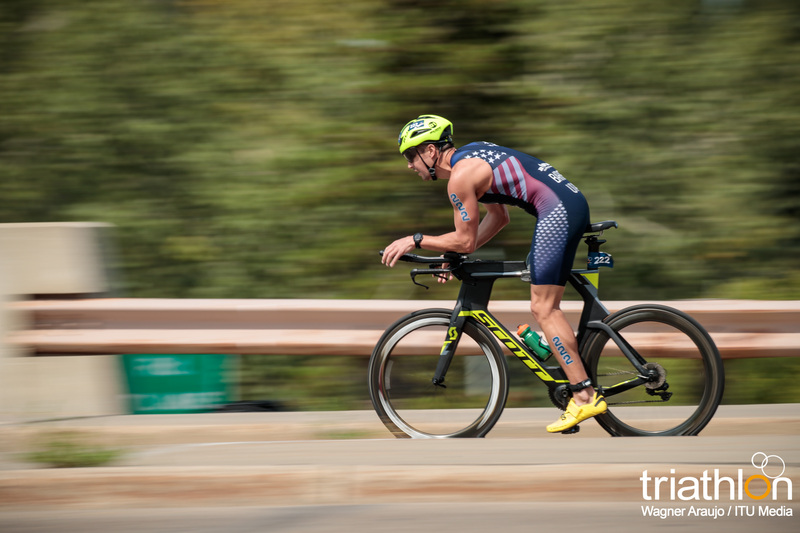 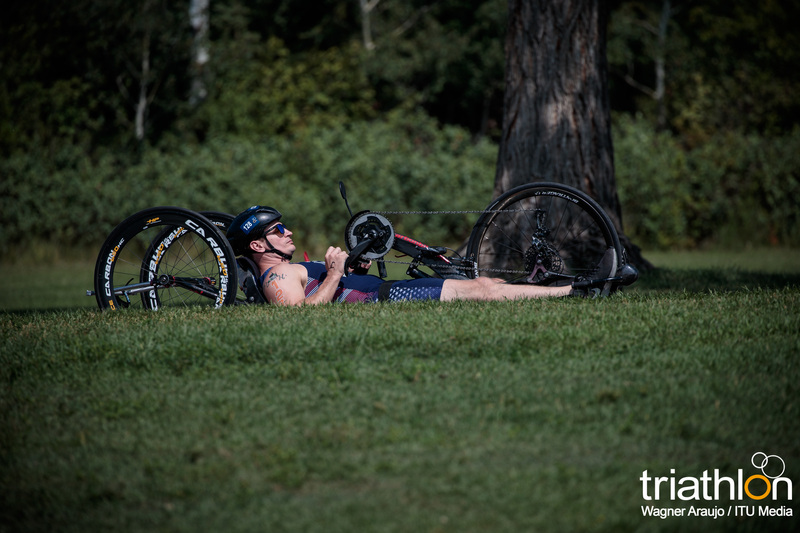 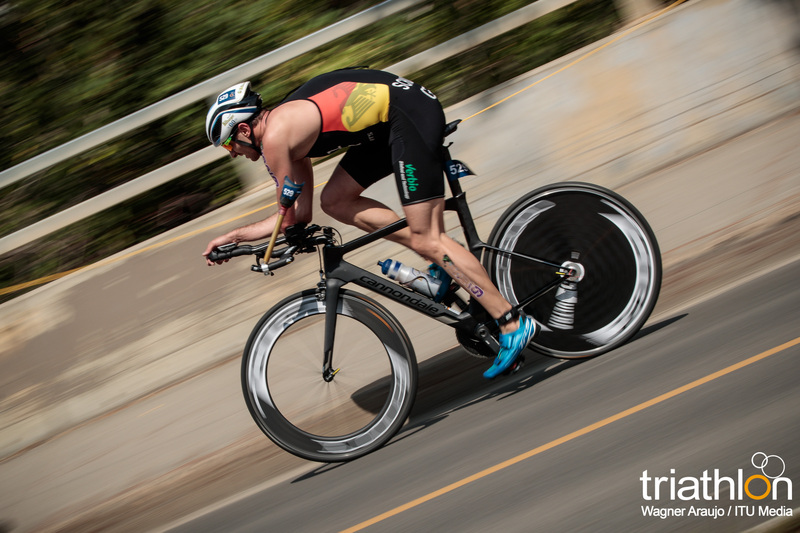 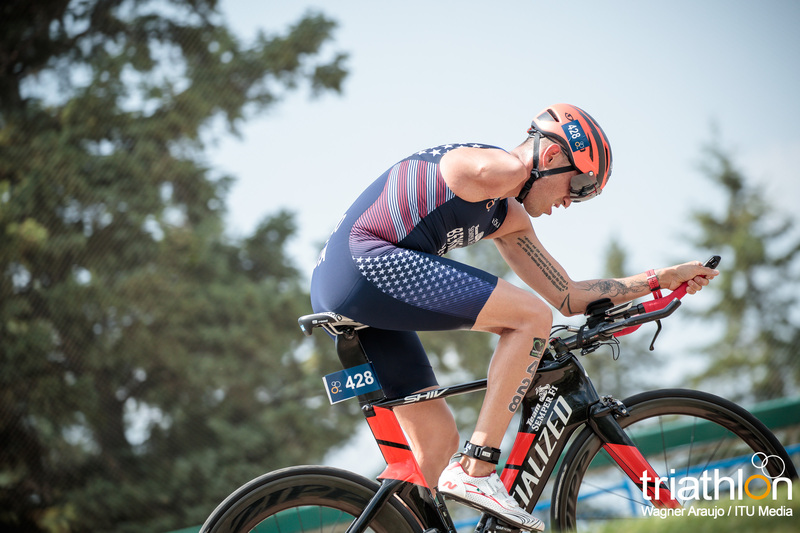 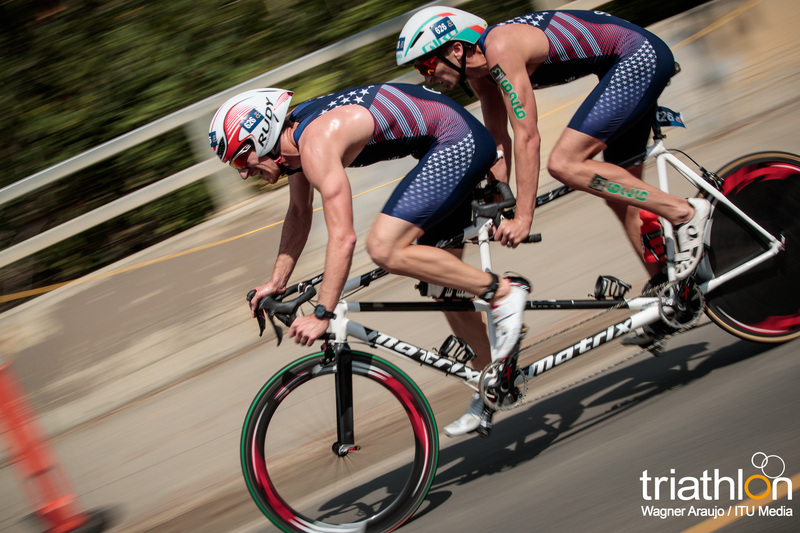 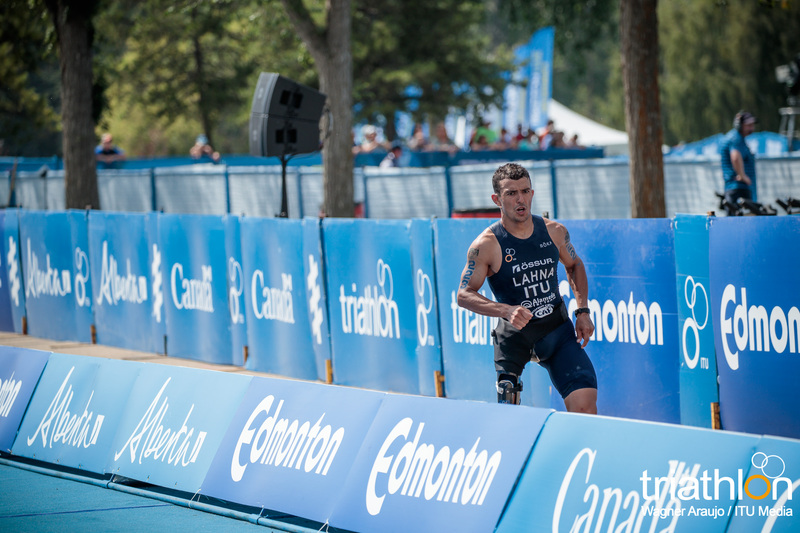 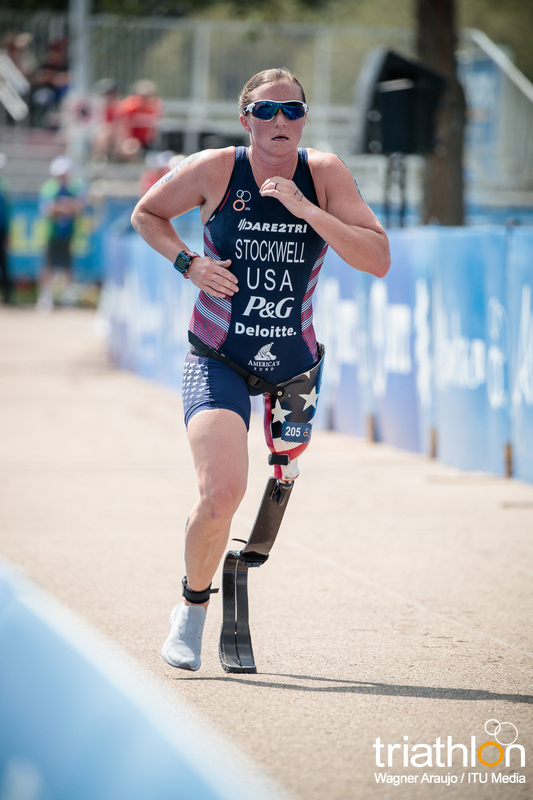 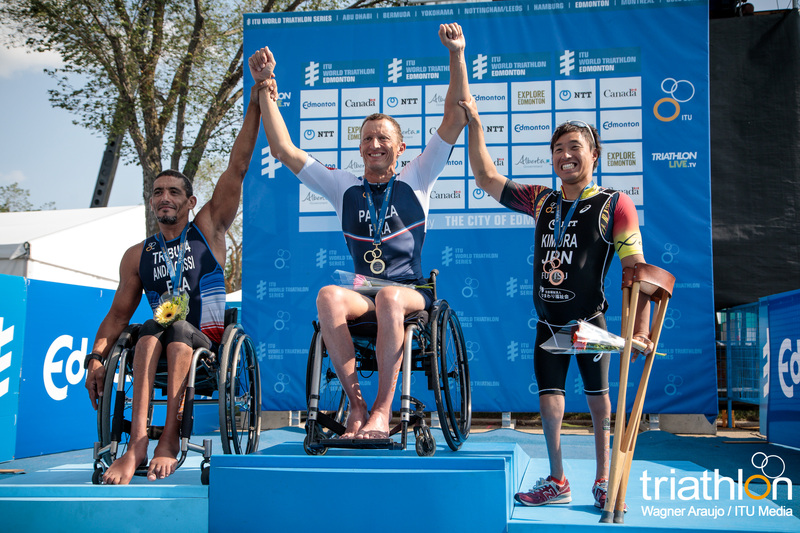 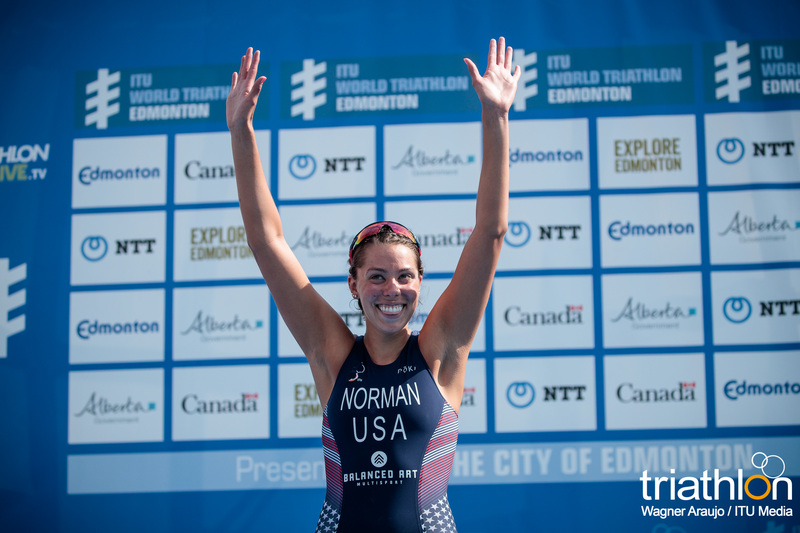 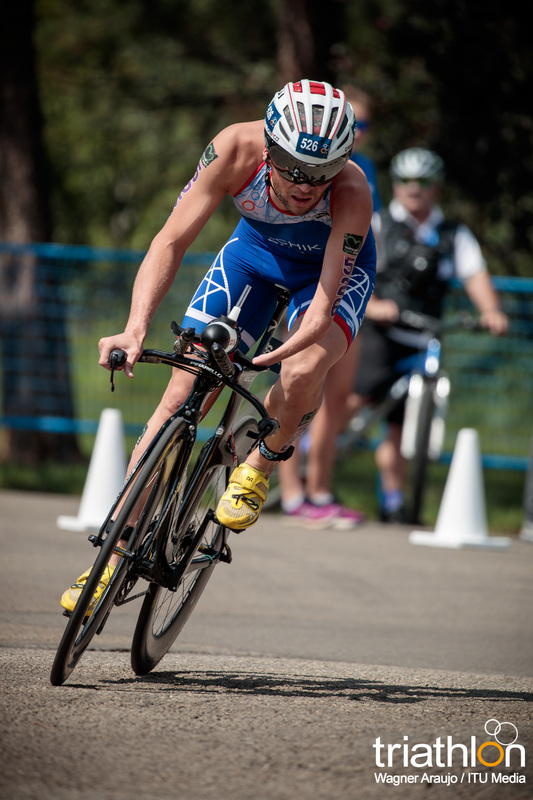 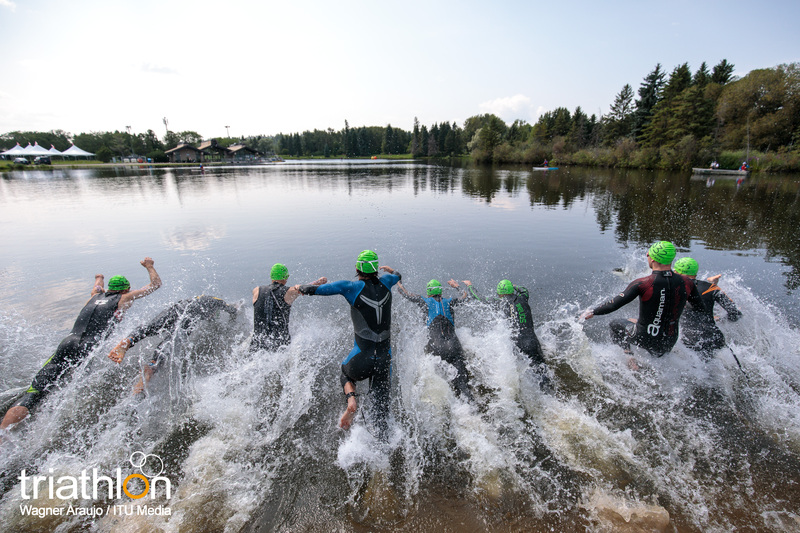 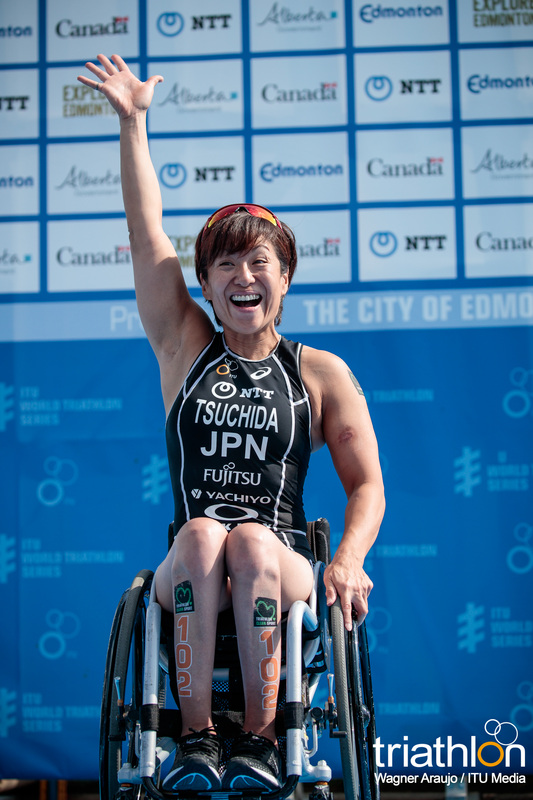 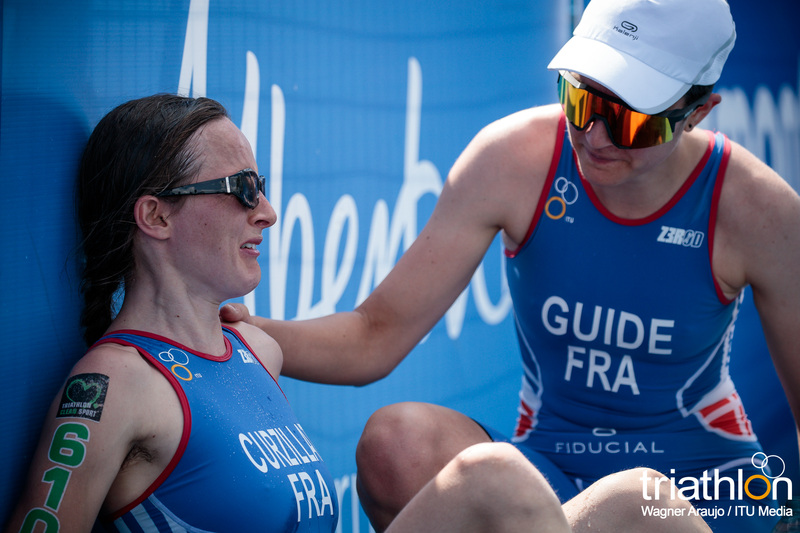 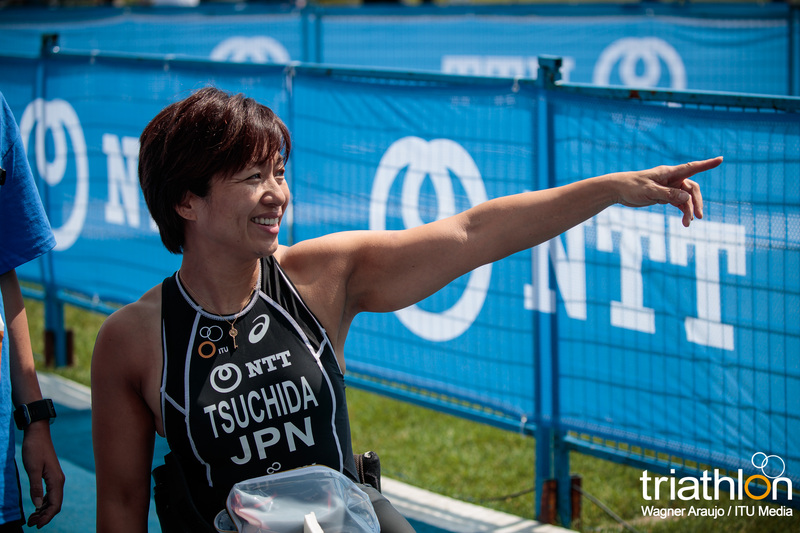 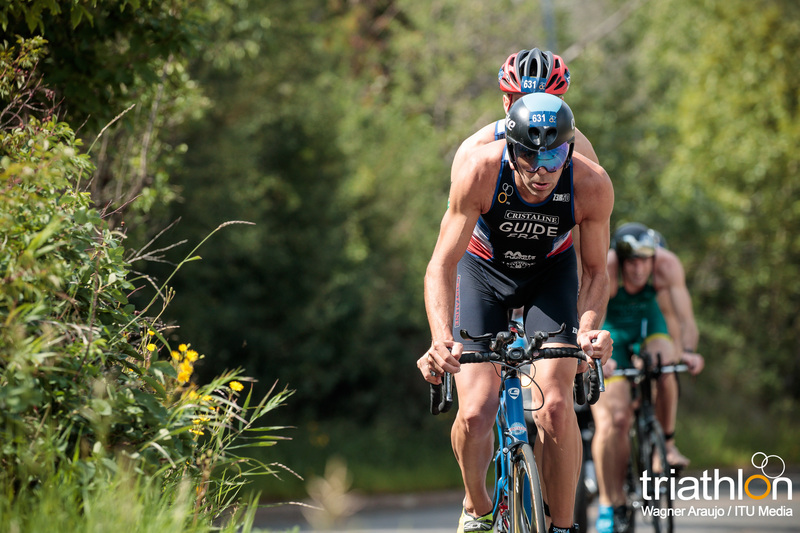 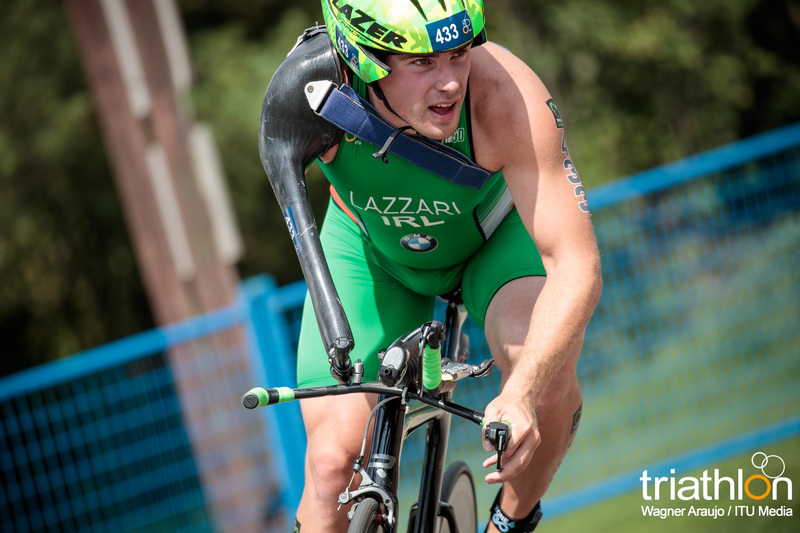 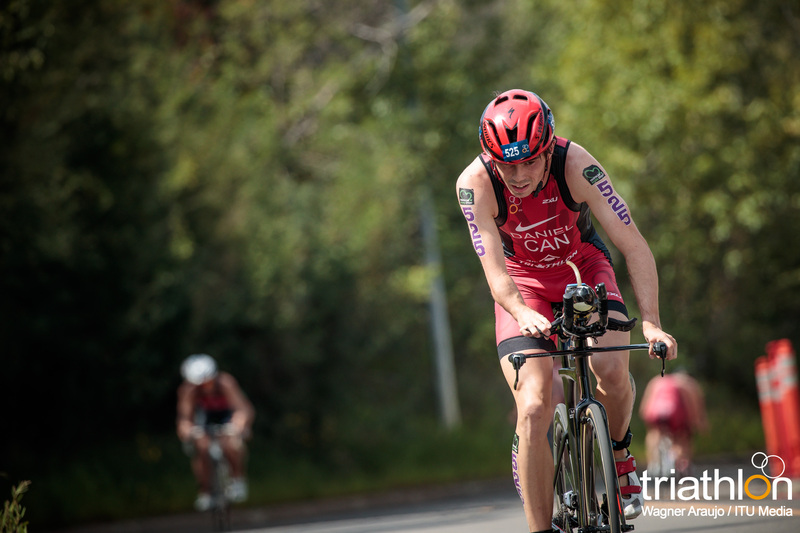 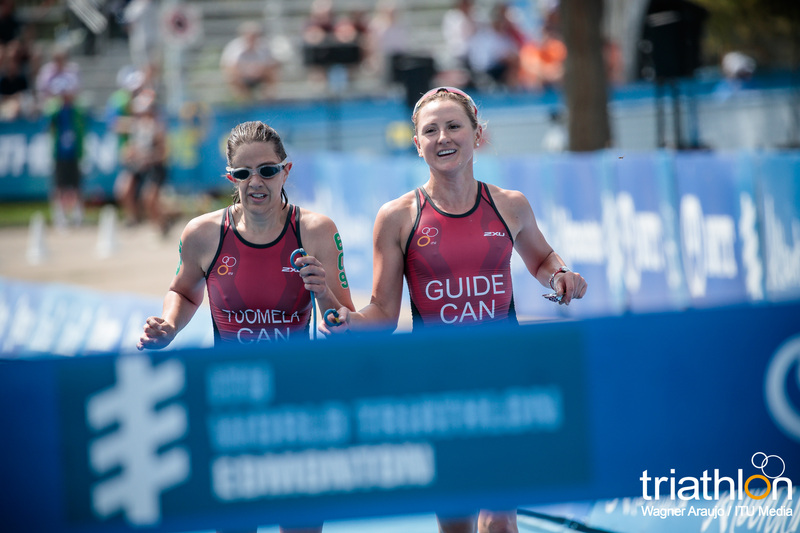 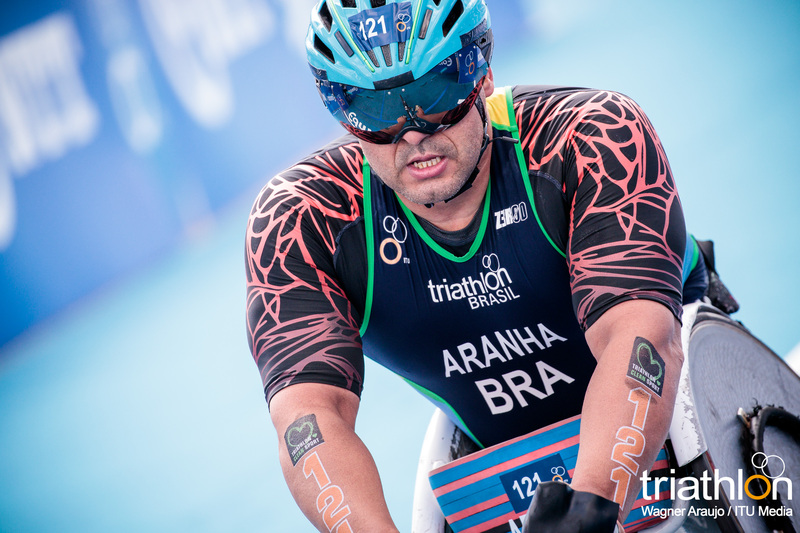 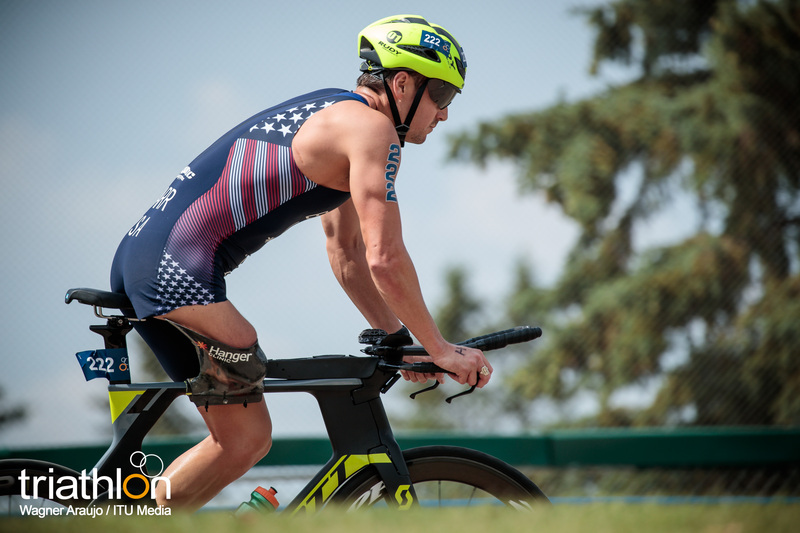 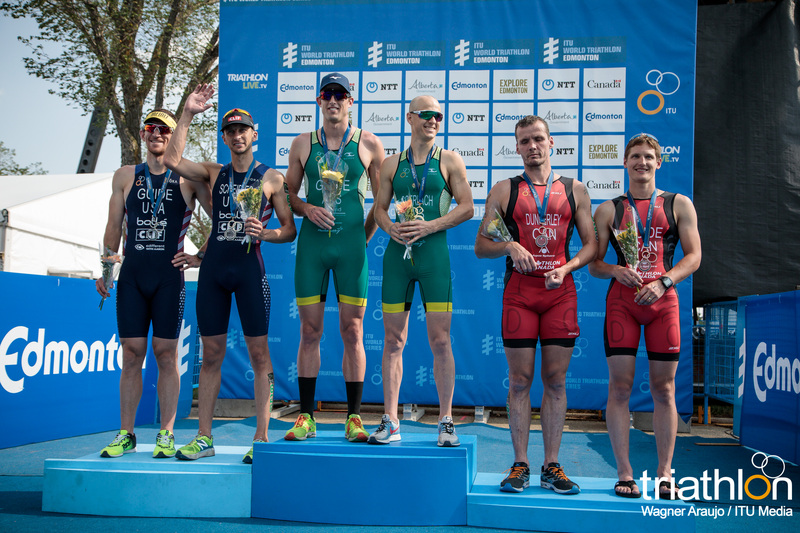 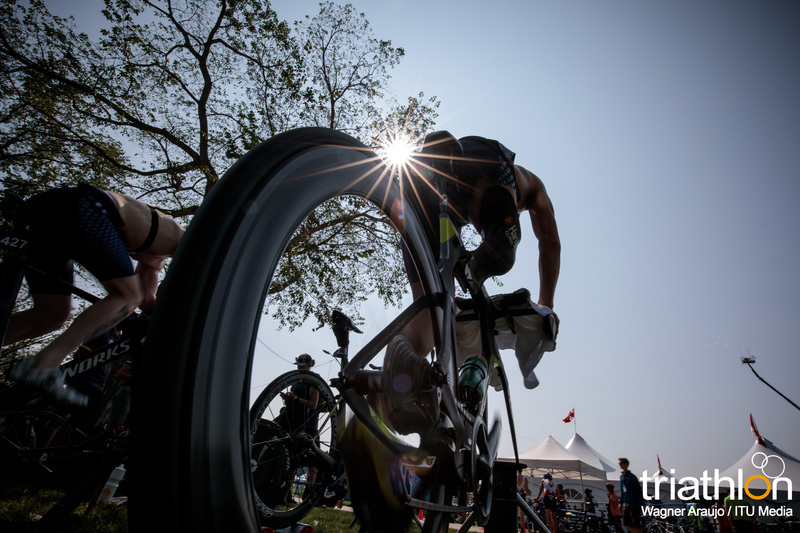 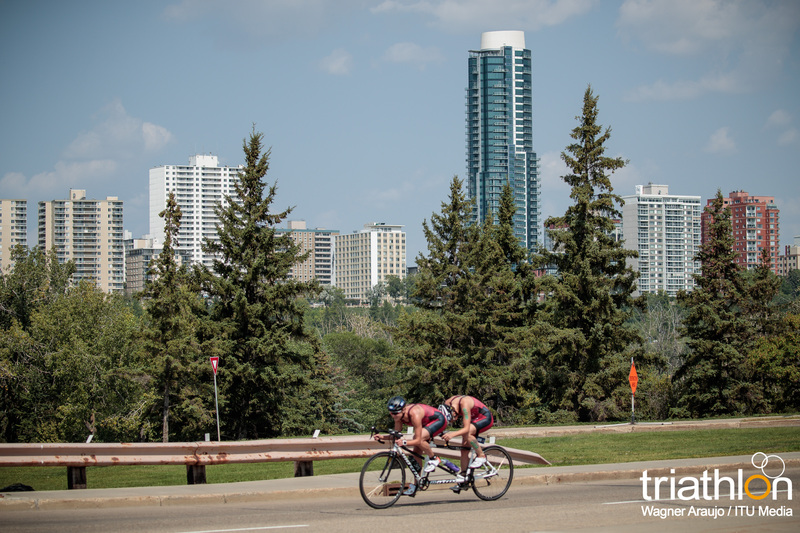 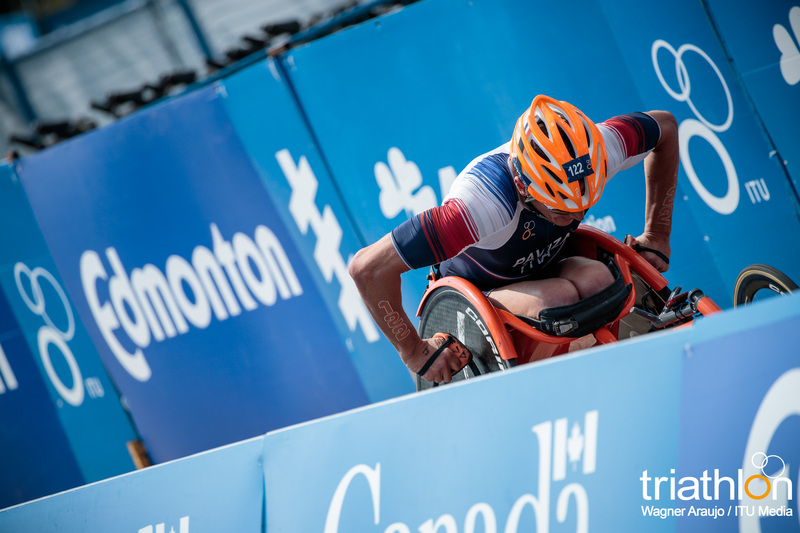 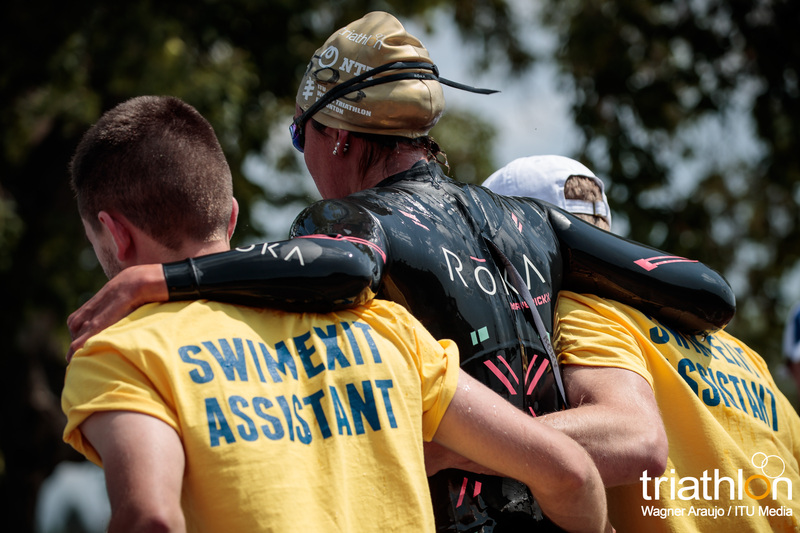 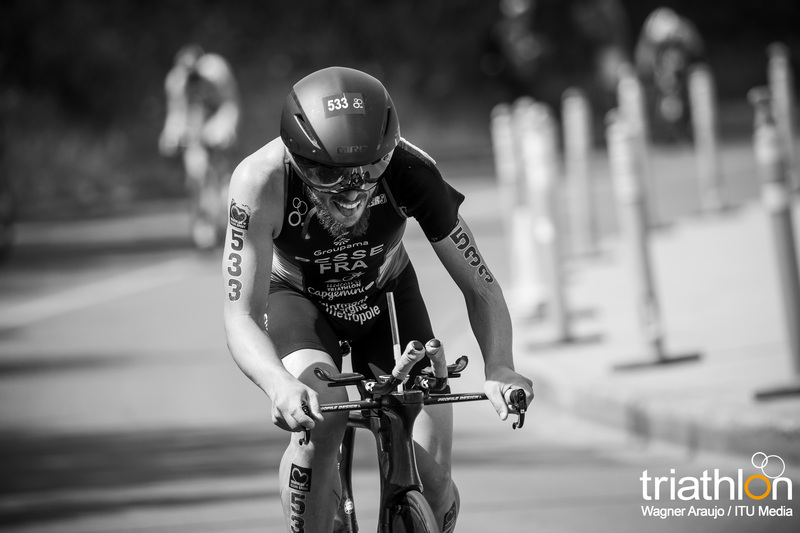 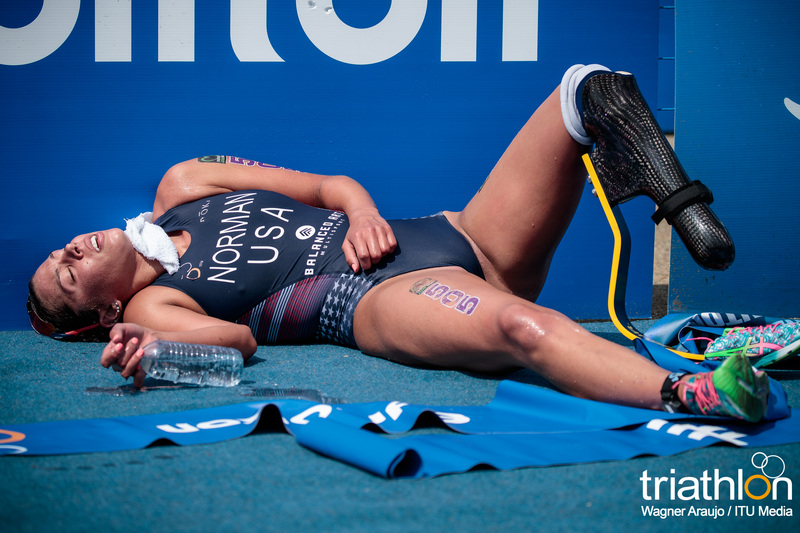 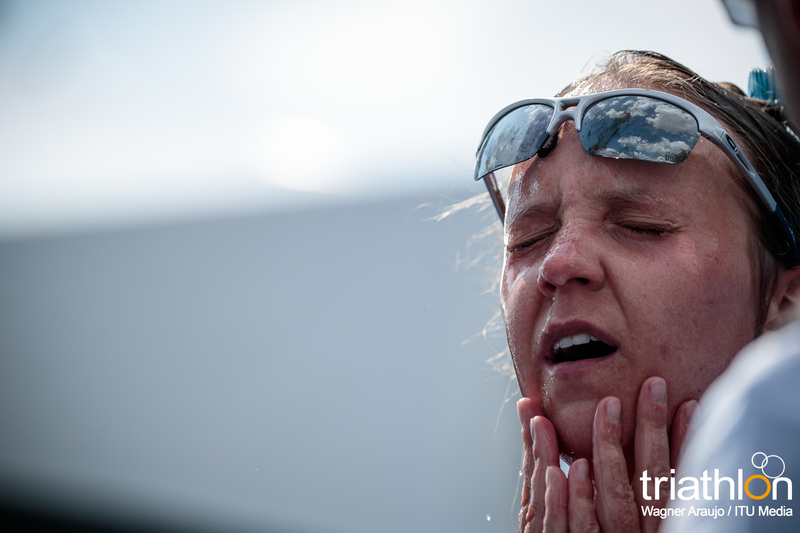 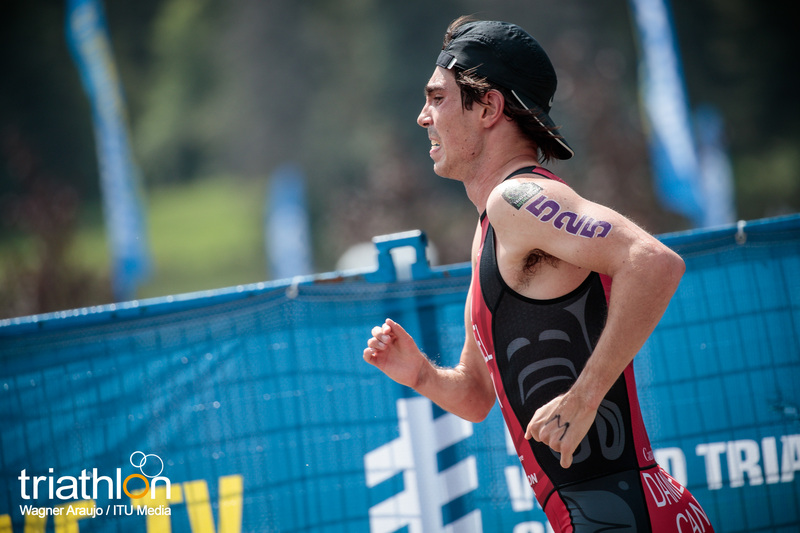 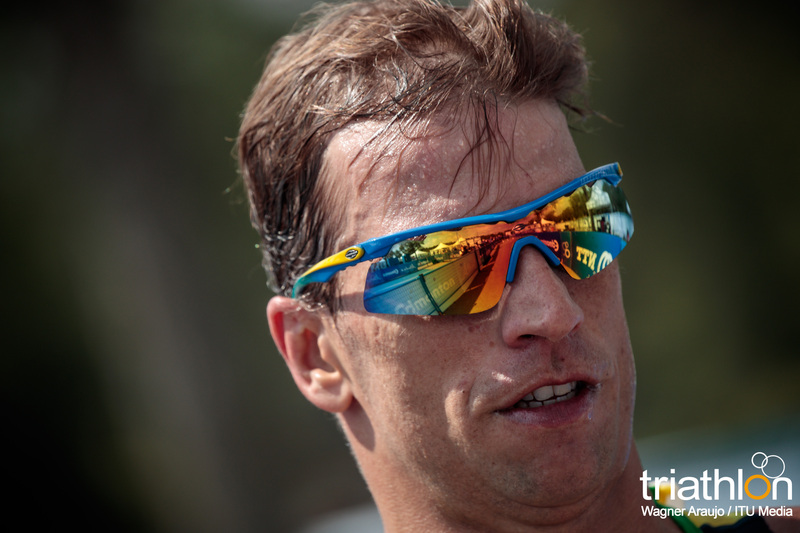 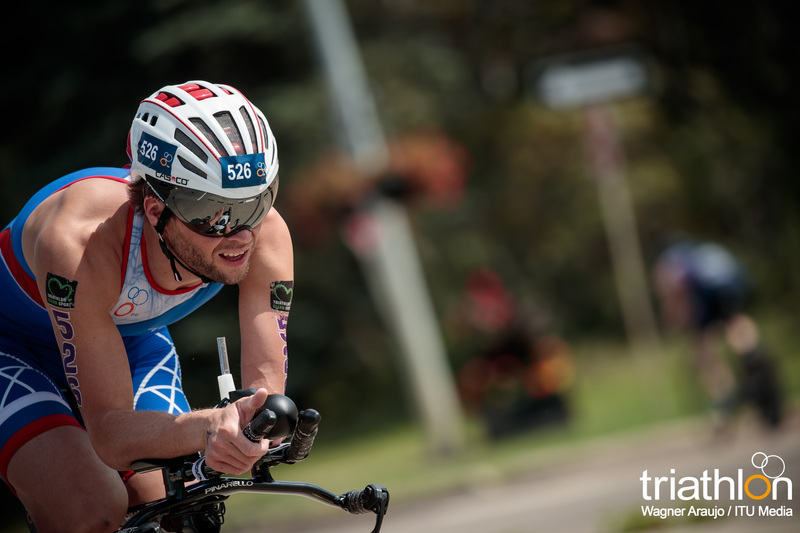 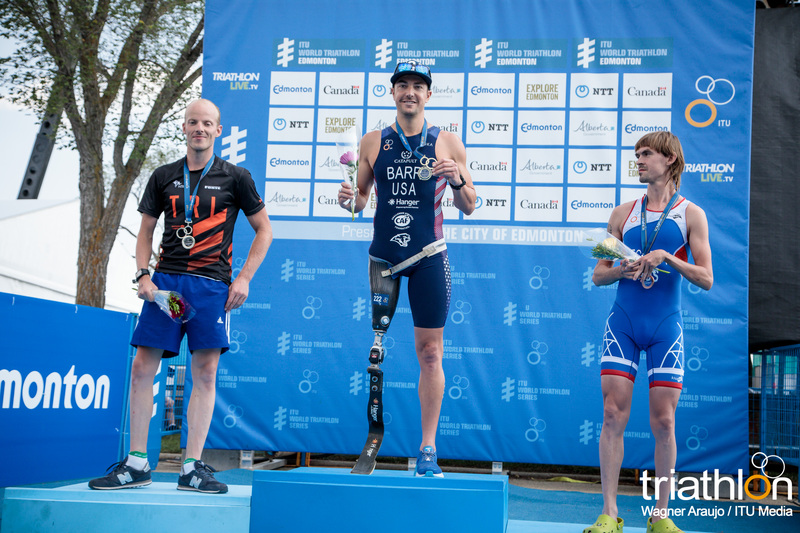 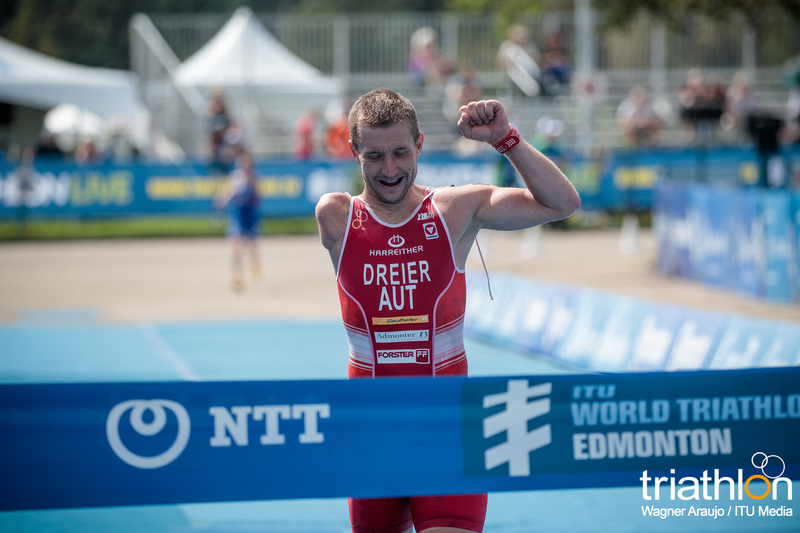 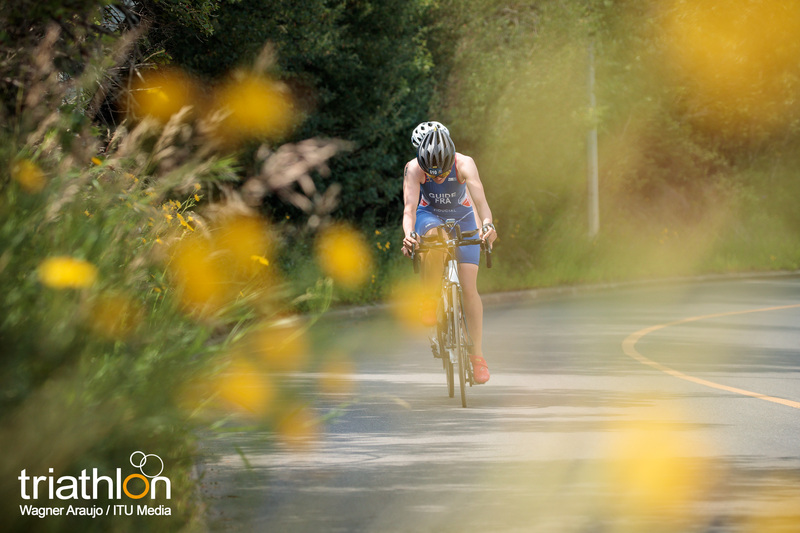 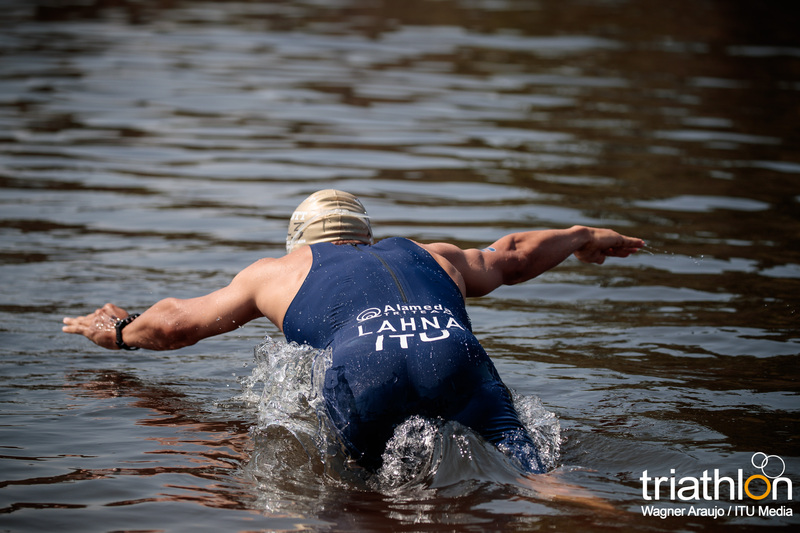 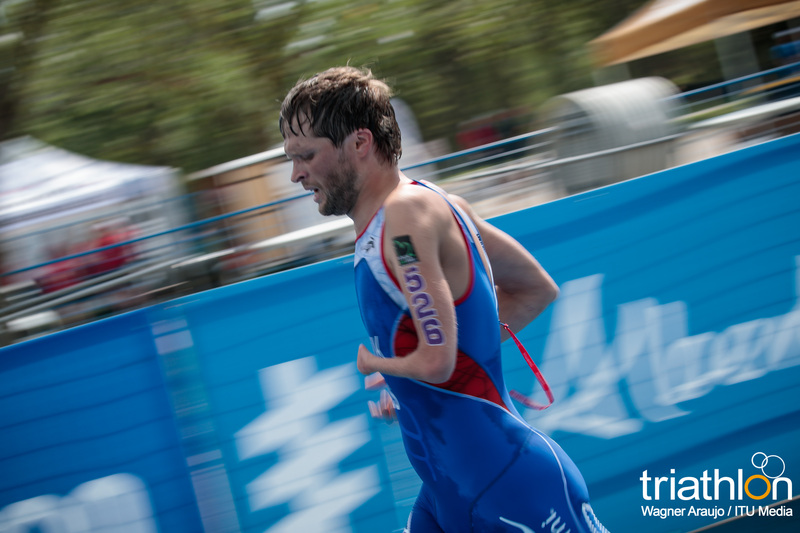 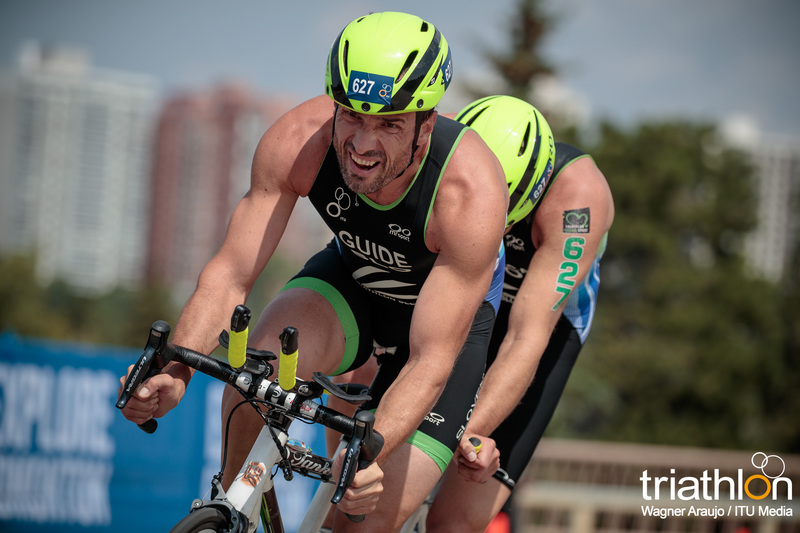 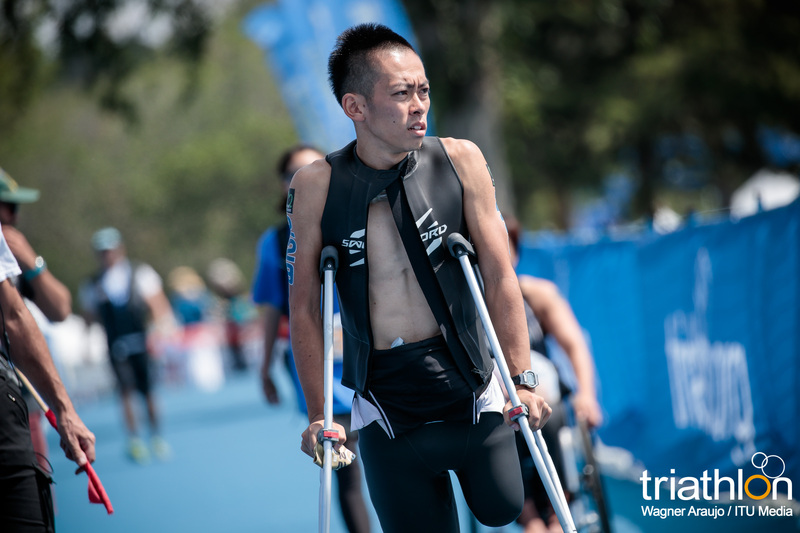 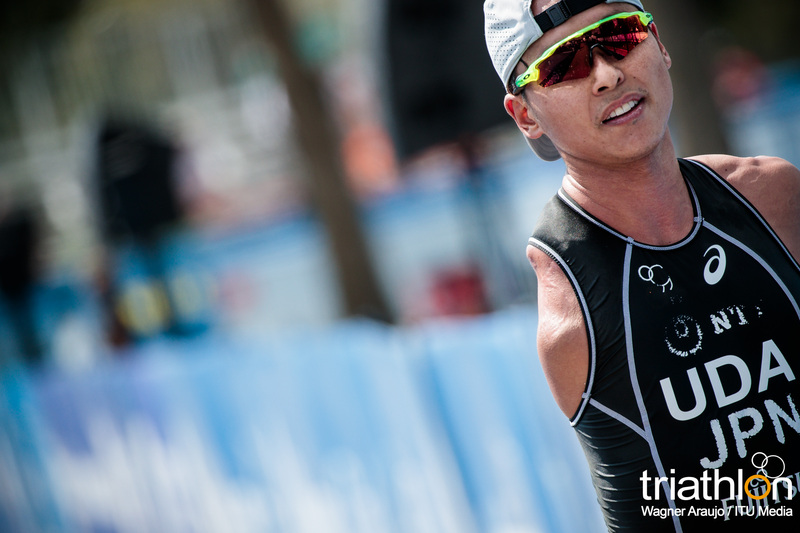 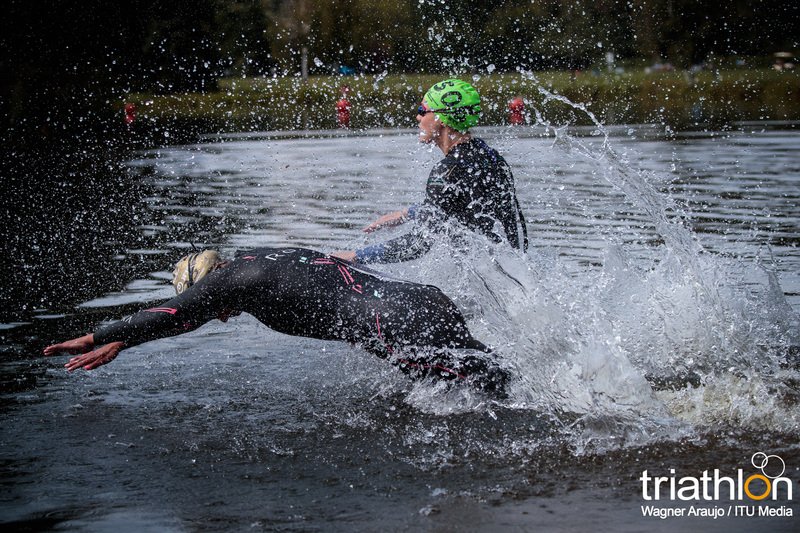 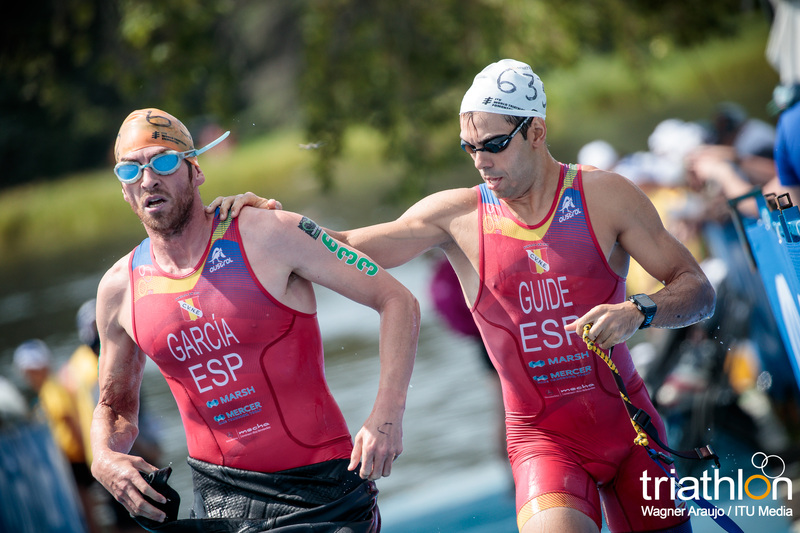 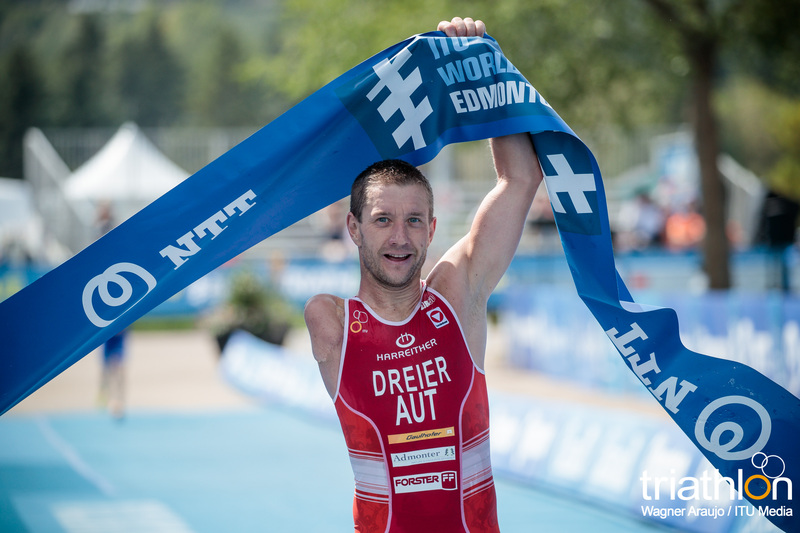 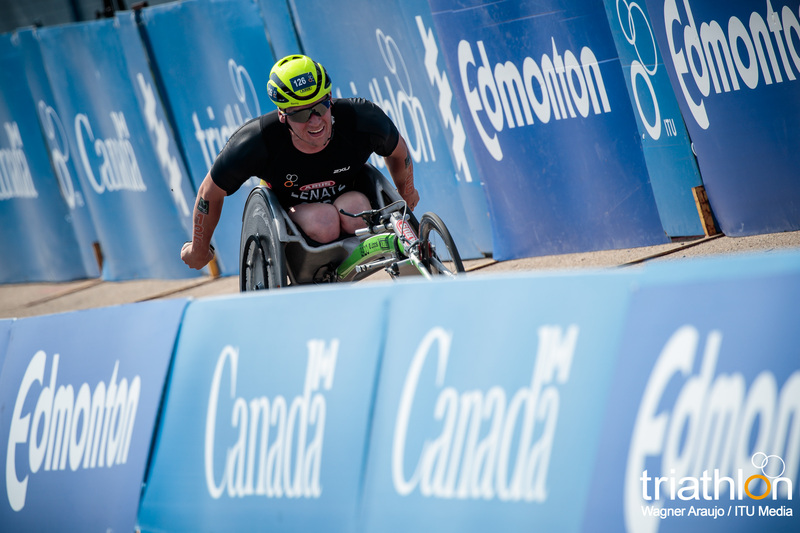 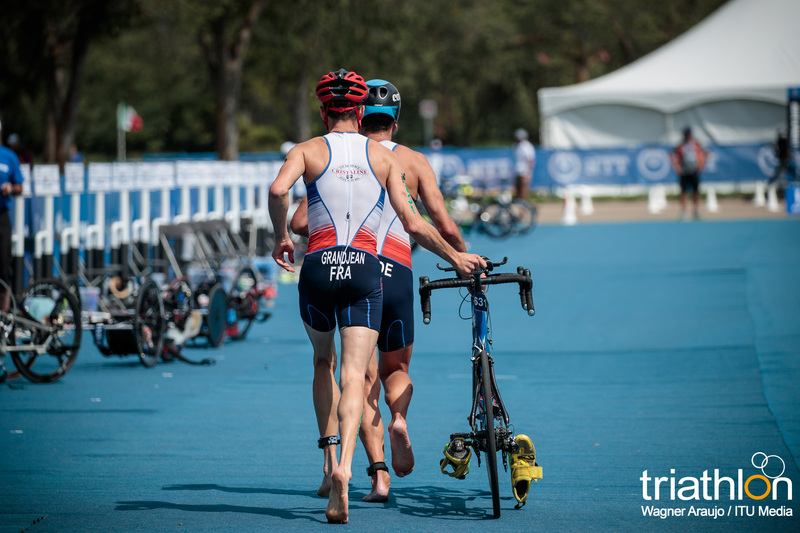 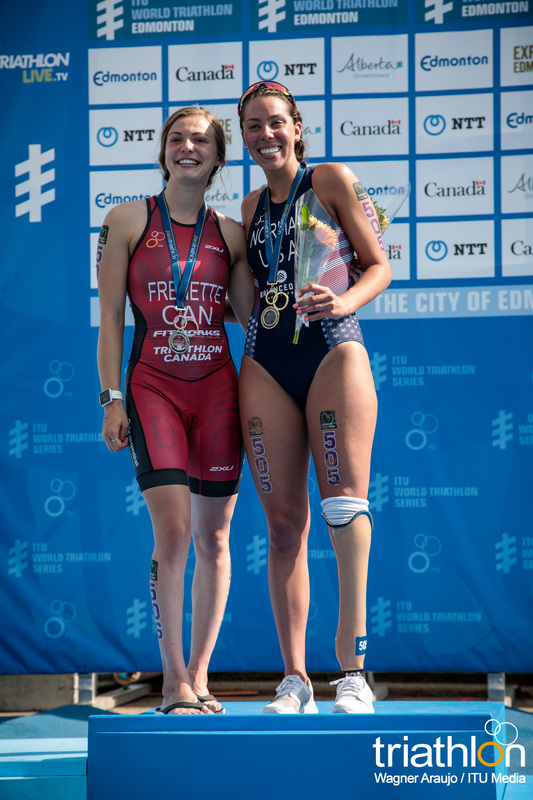 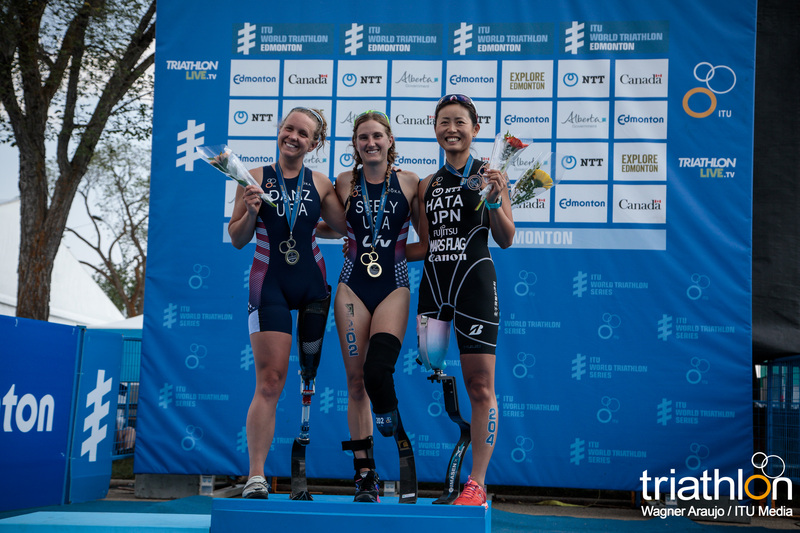 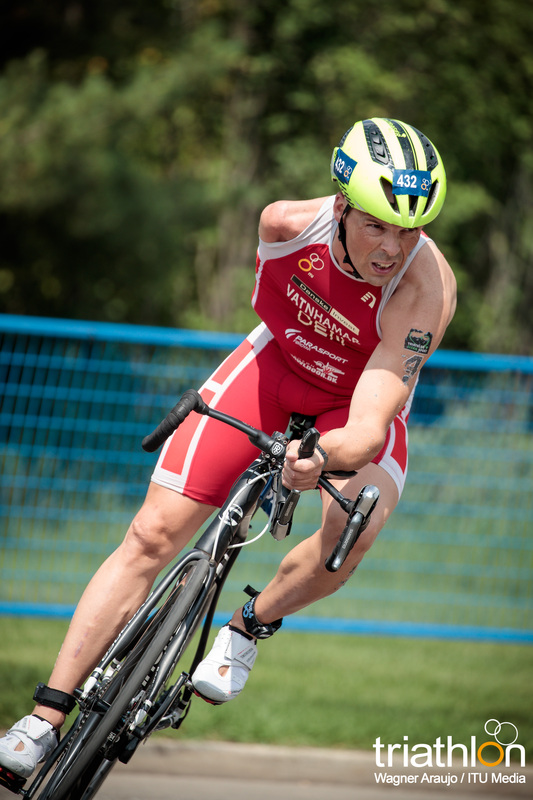 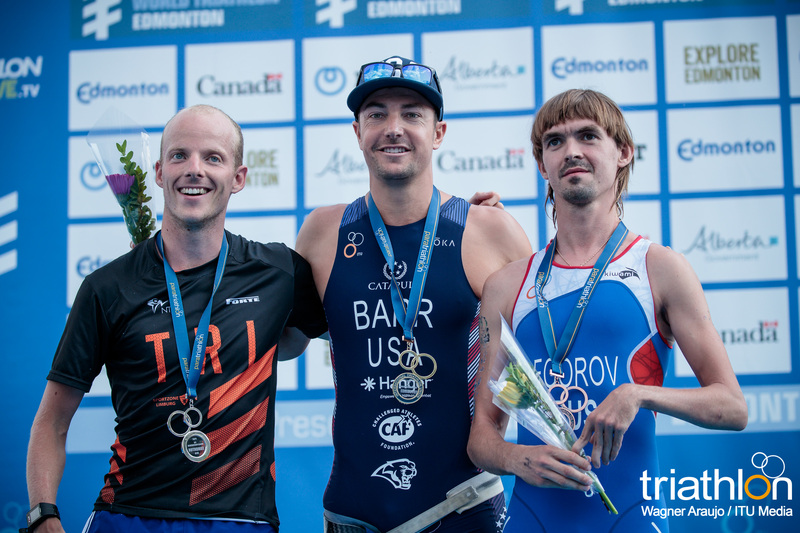 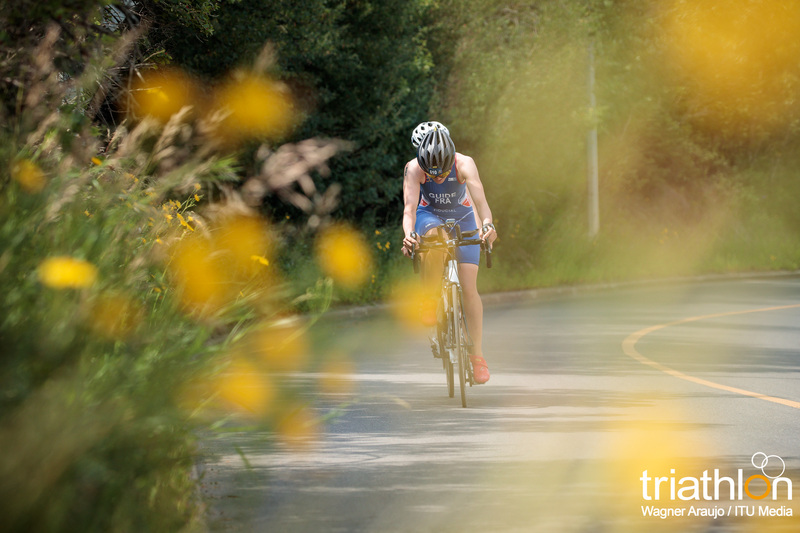 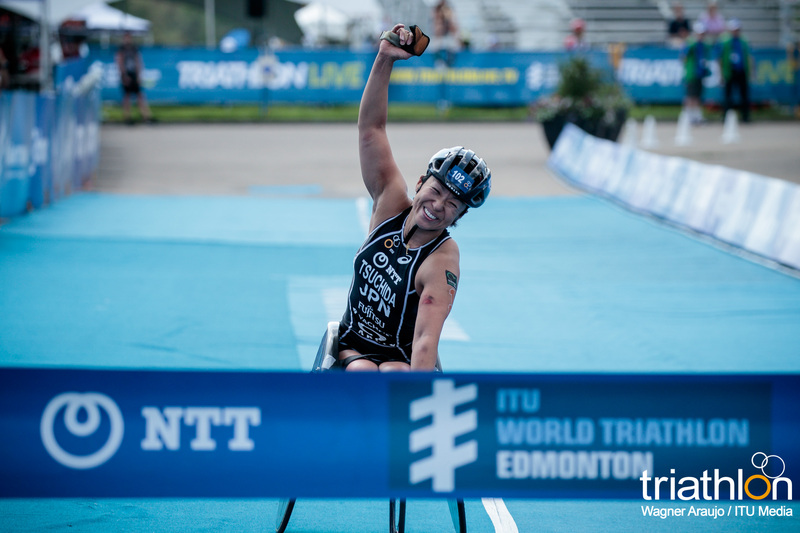 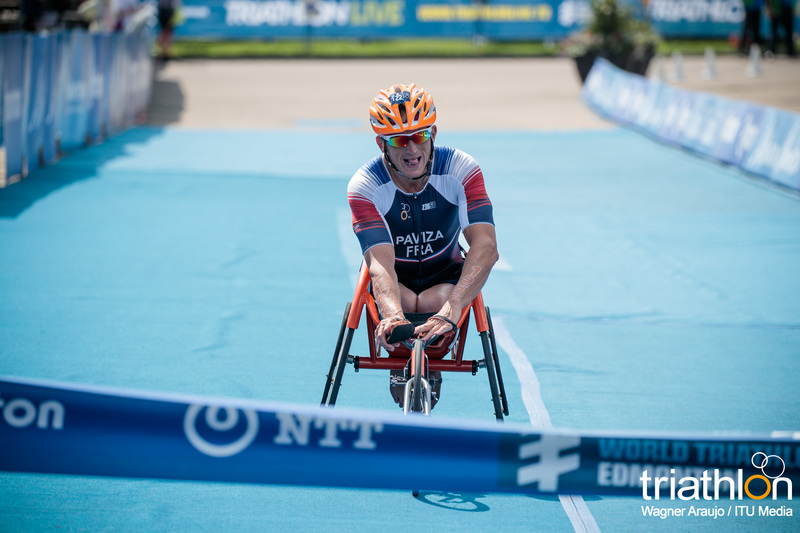 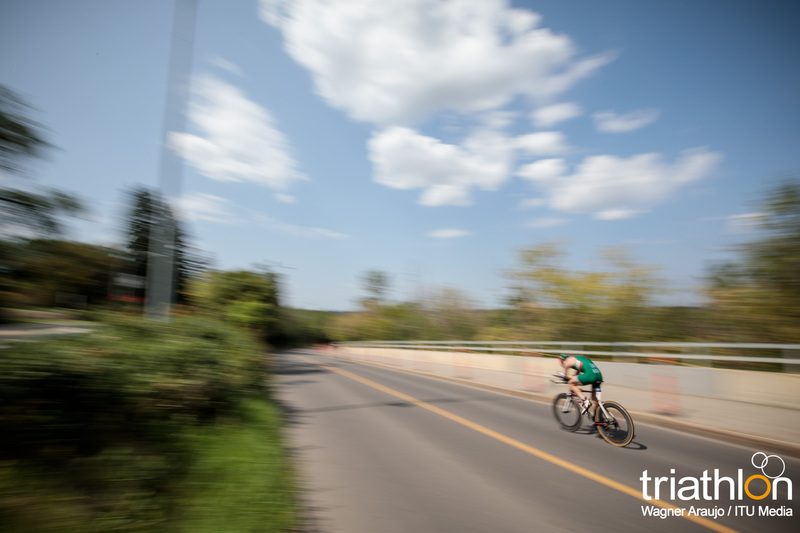 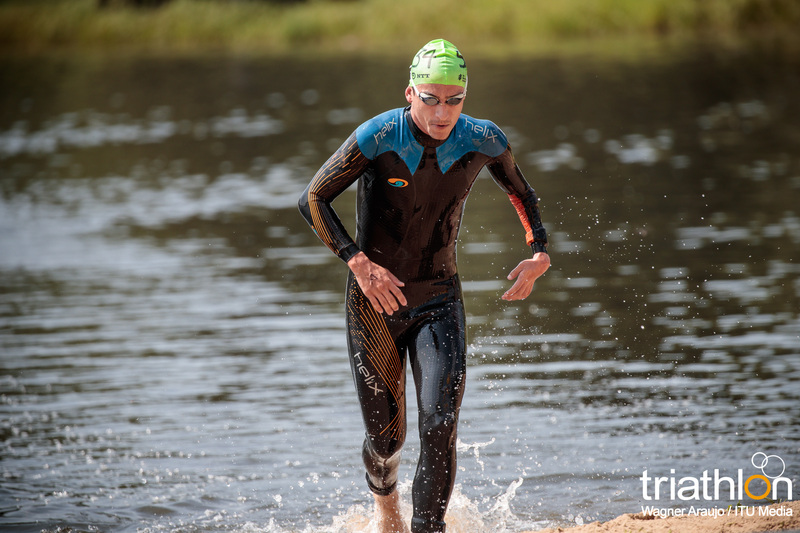 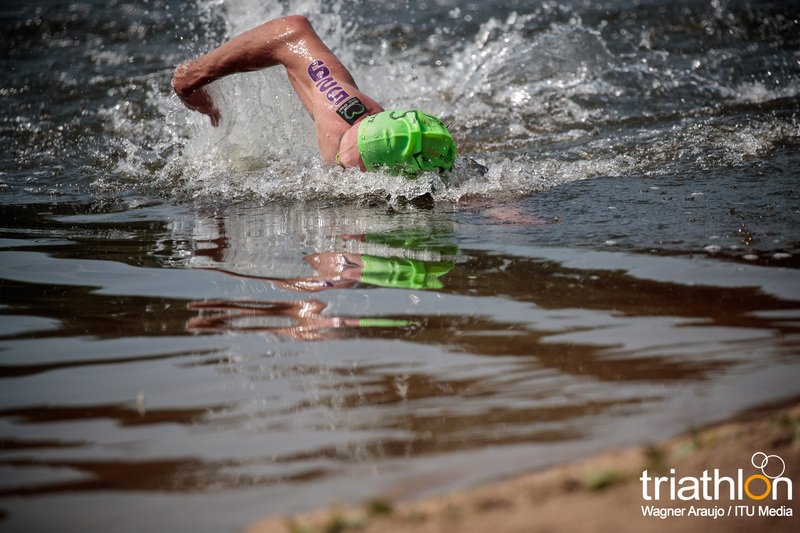 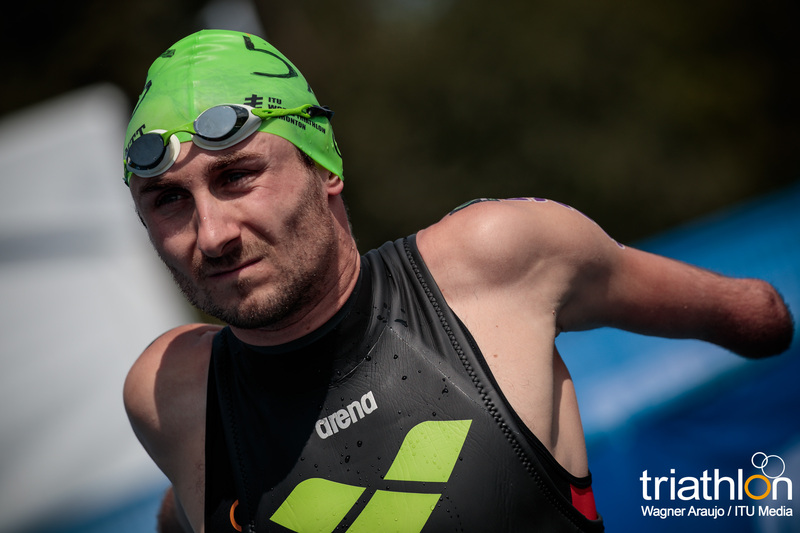 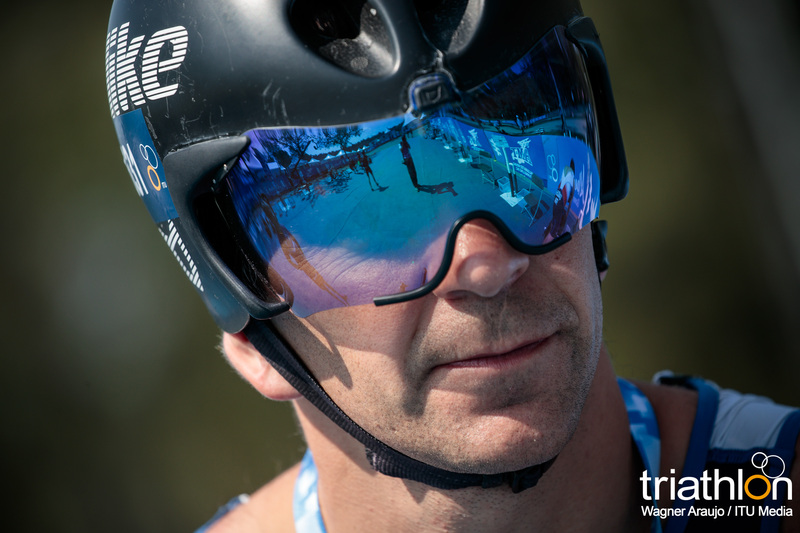 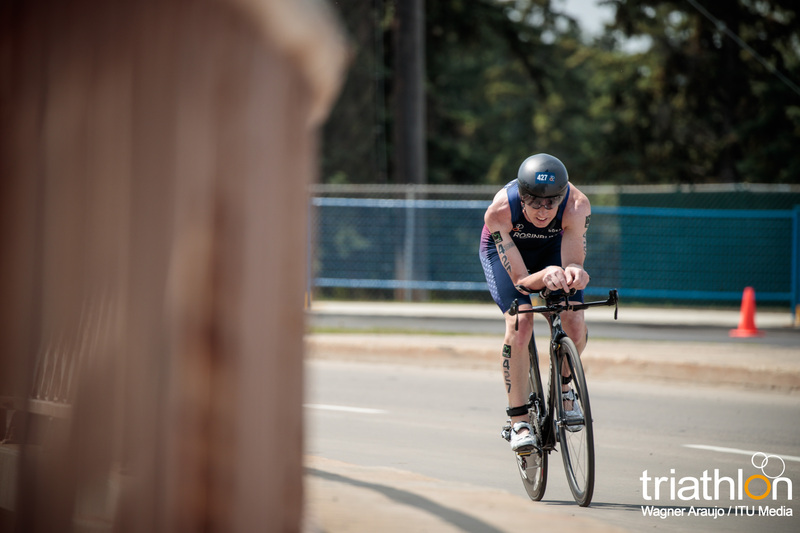 On a hot afternoon in Edmonton, Canadian Stefan Daniel and fellow compatriots Lauren Babineau and Jessica Tuomela earned first place honours during the World Paratriathlon Series race. 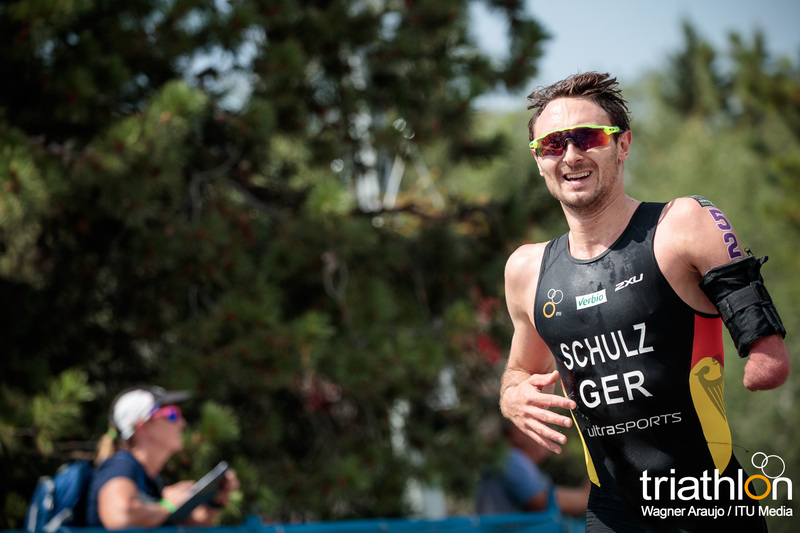 Daniel chuckles when asked about his rival Martin Schulz who finished sixty seconds after him in second place in the PTS5 class. 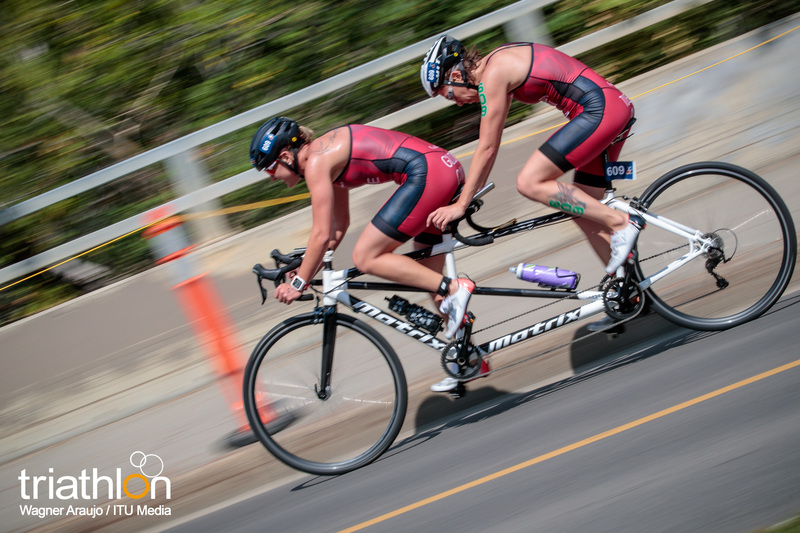 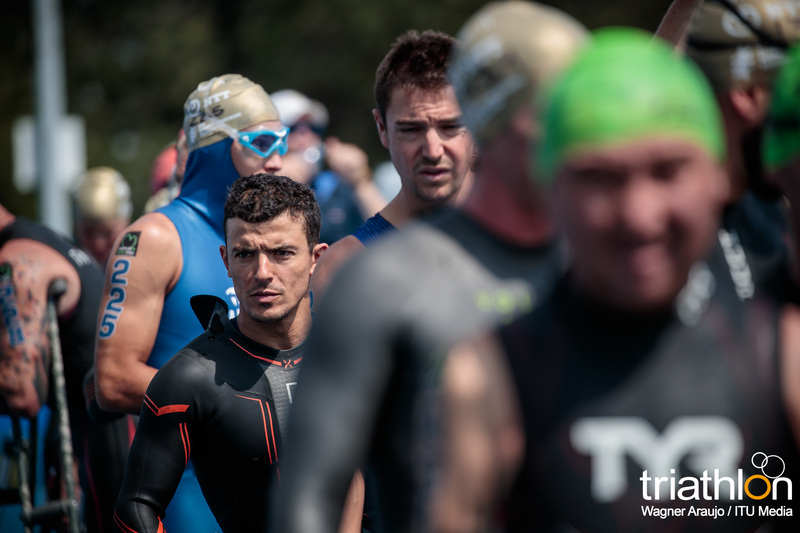 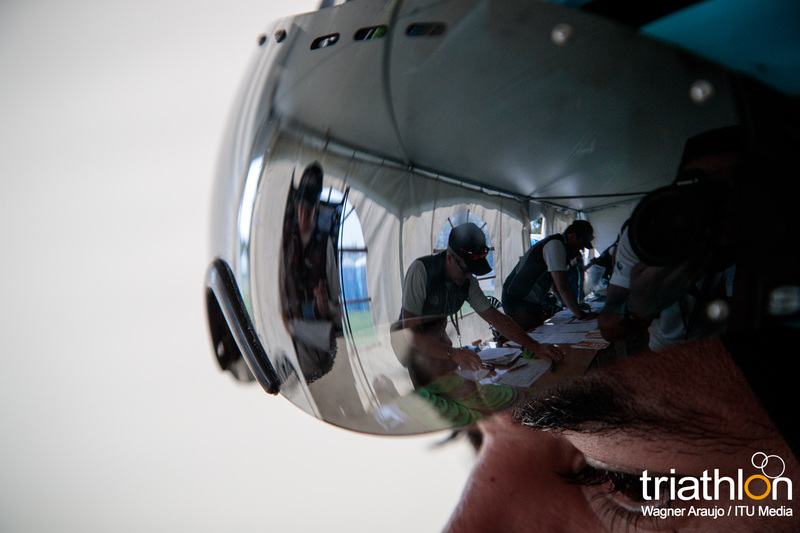 “We bring out the best in each other, it’s always nice to race against the best. 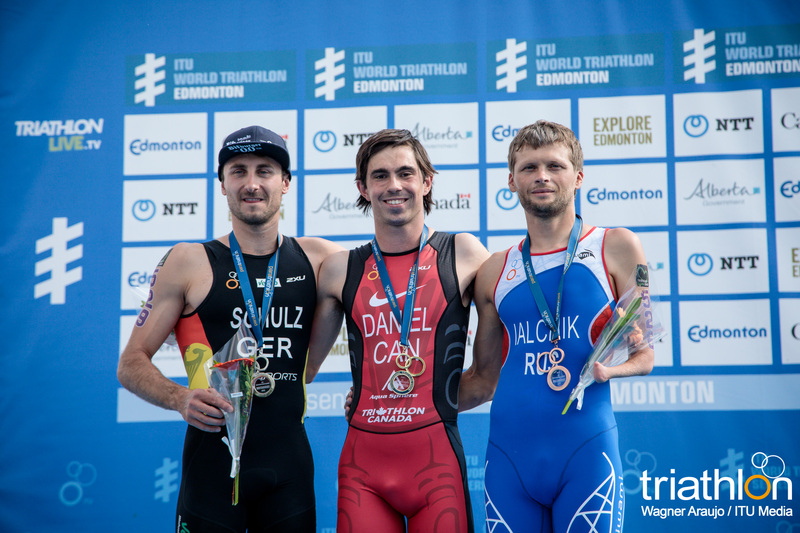 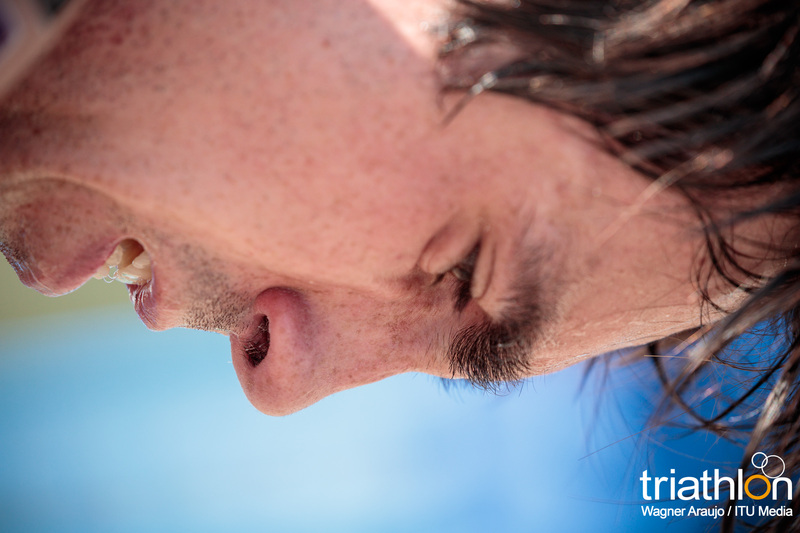 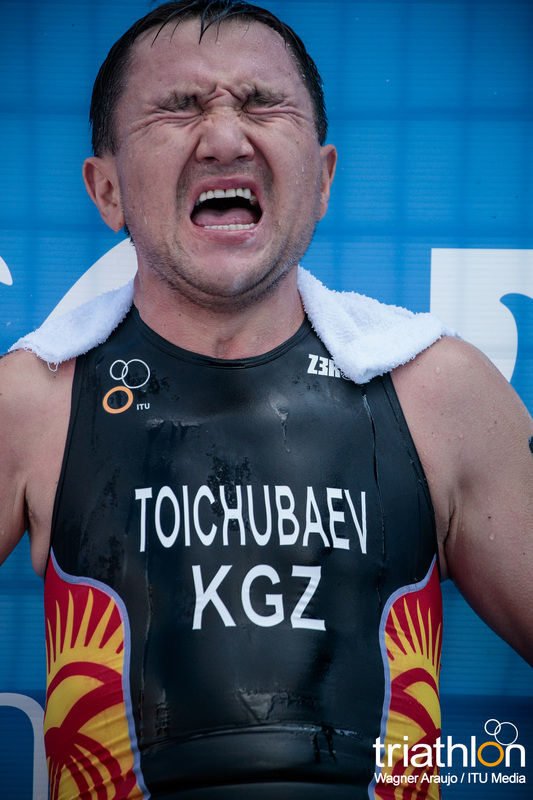 He’s really motivated, I’m really motivated.” Alexandr Ialchik (RUS) rounded out the PTS5 Men’s podium in third. Norman was delighted with the spectator support. 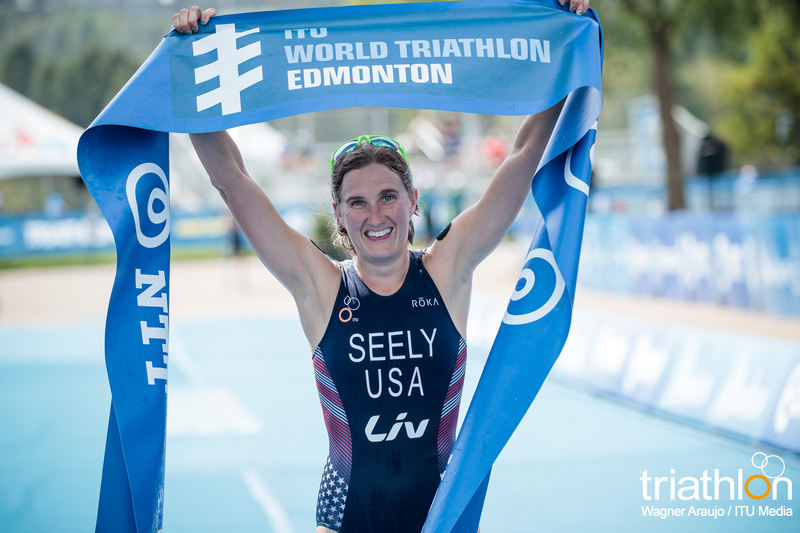 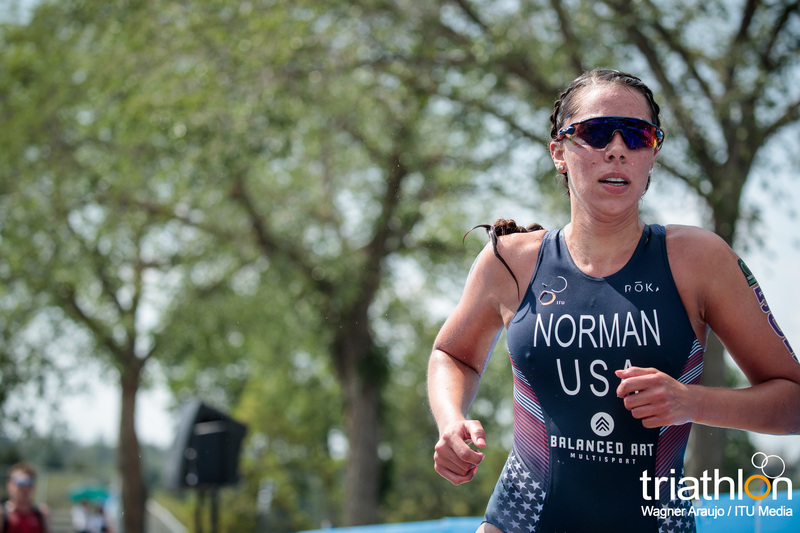 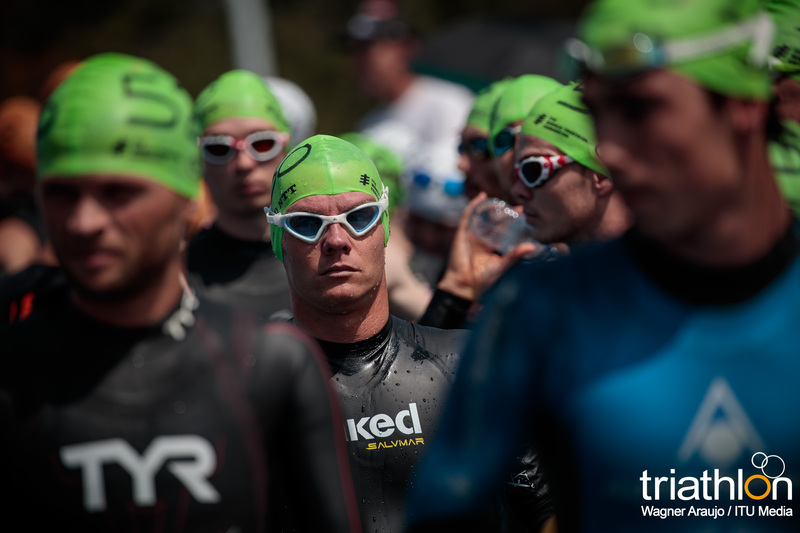 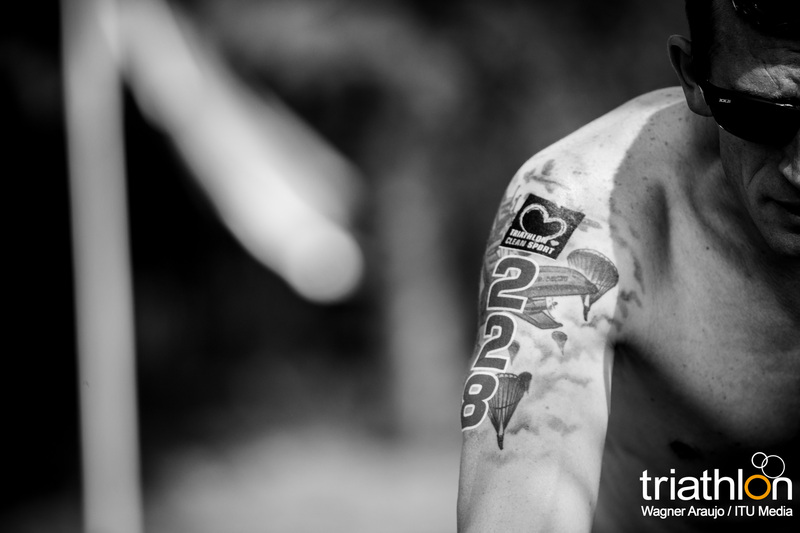 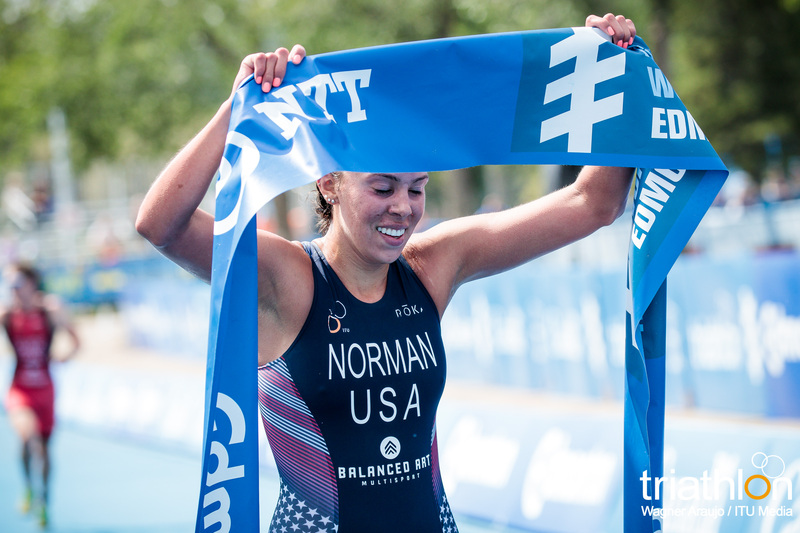 “I love racing here, the course is always clean and there were a ton of spectators at the top of that hill, which is really appreciated. 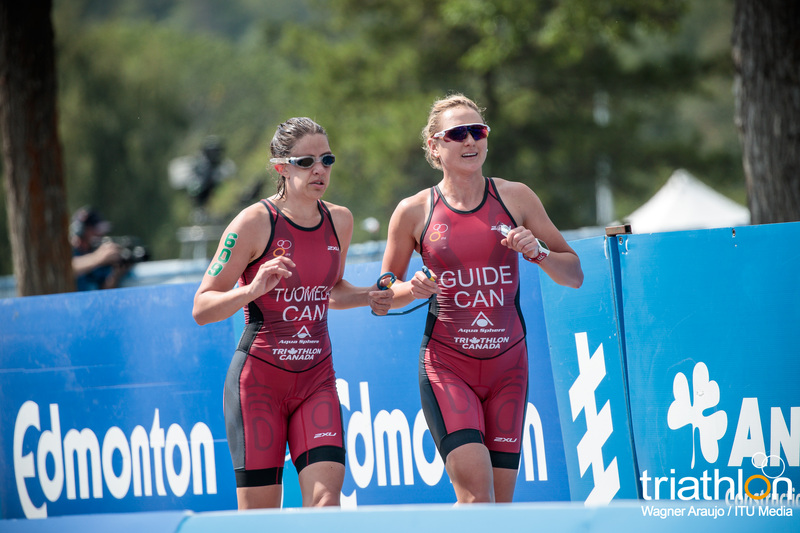 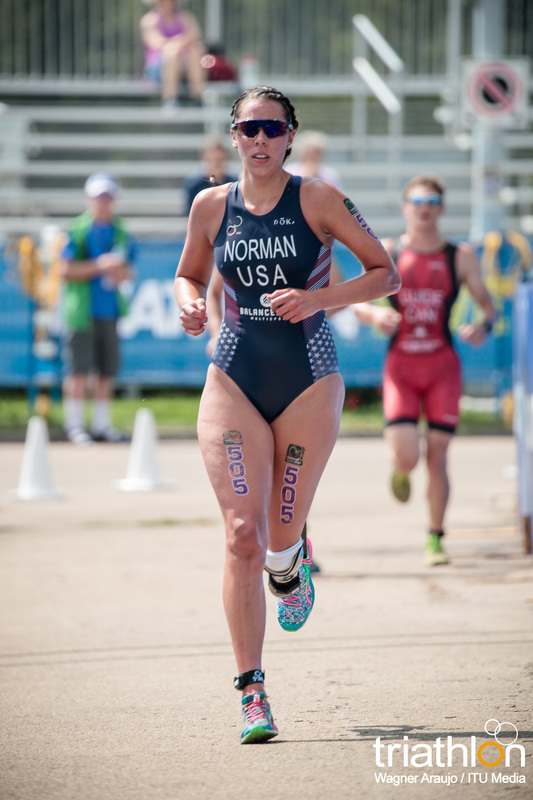 It’s a really well run race.” Canadian Kamylle Frenette finished second behind Norman in the women’s PTS5 race. 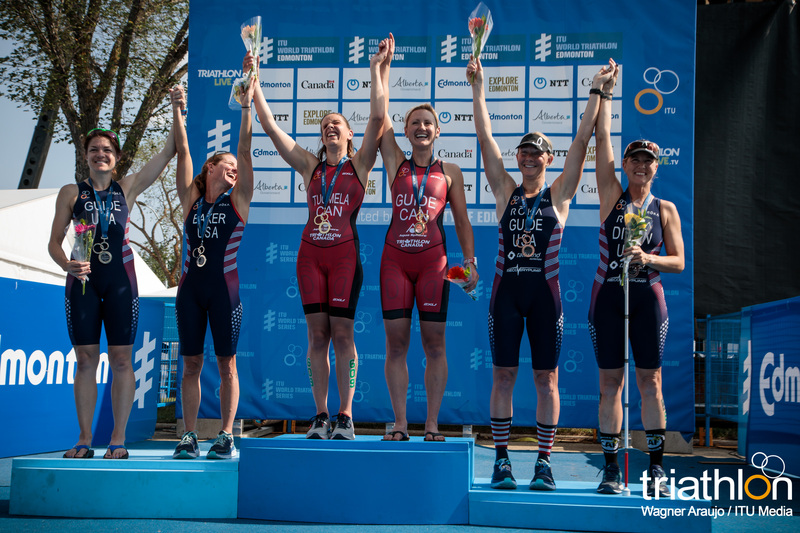 Americans Allysa Seely and Hailey Danz went one two on the PTS2 women’s race. 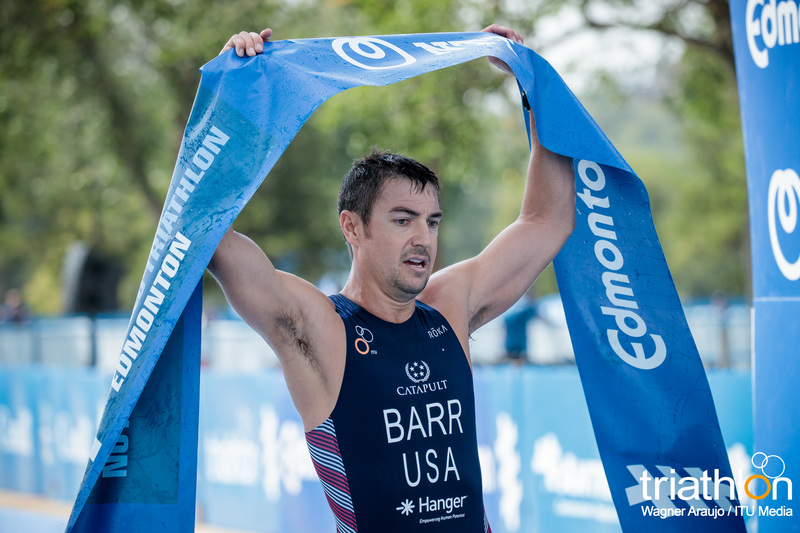 Fellow countryman Mark Barr won the men’s PTS2 race, with Maurits Morsink (NED) and Vasily Egorov (RUS) rounding out the podium. 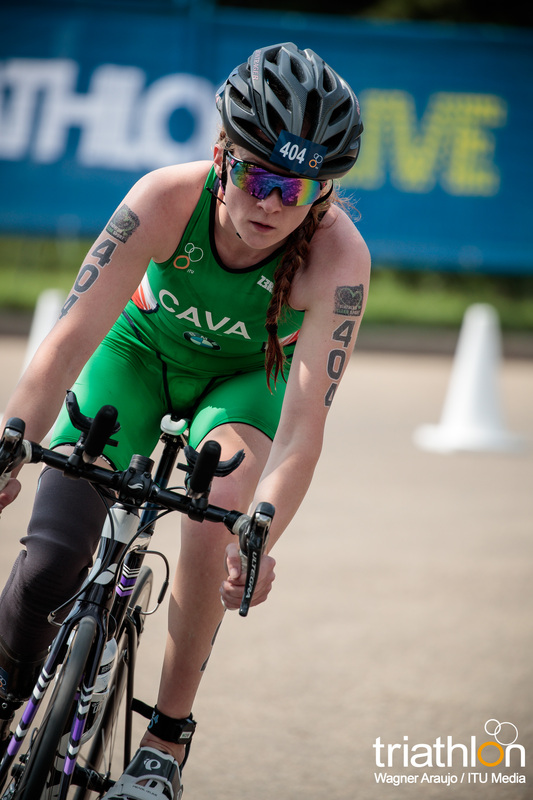 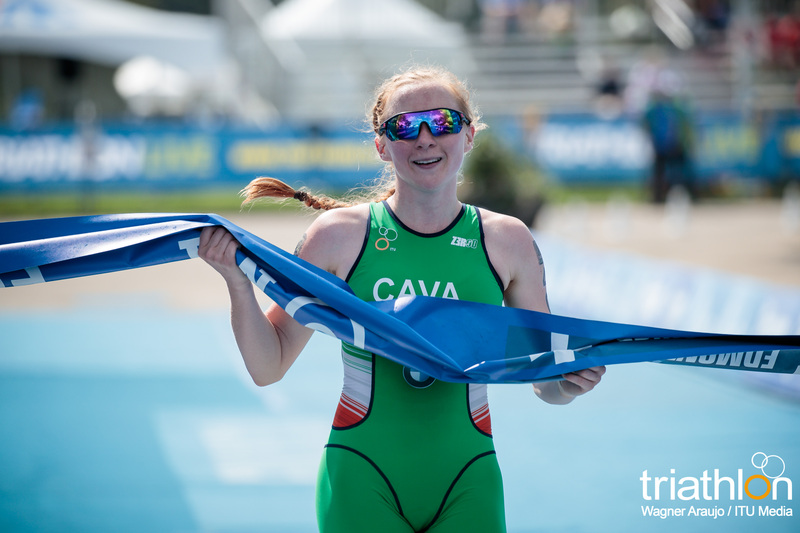 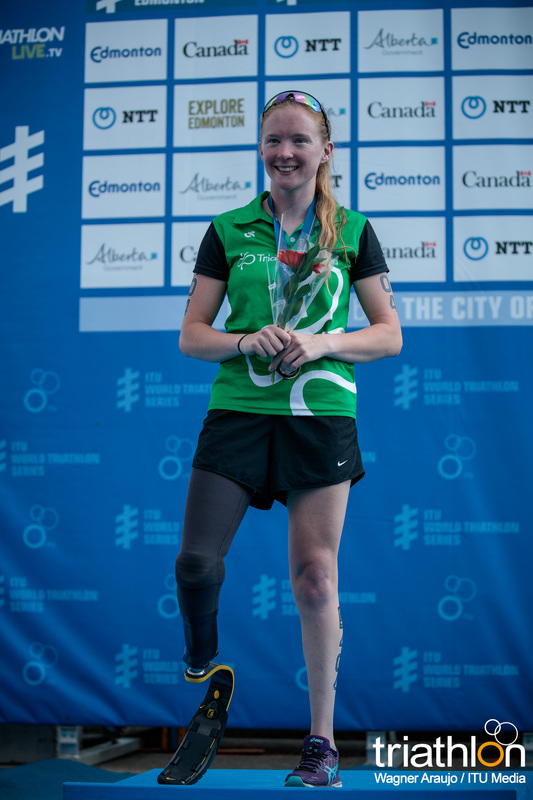 Irish athlete Cassie Cava won the women’s PTS4 division. 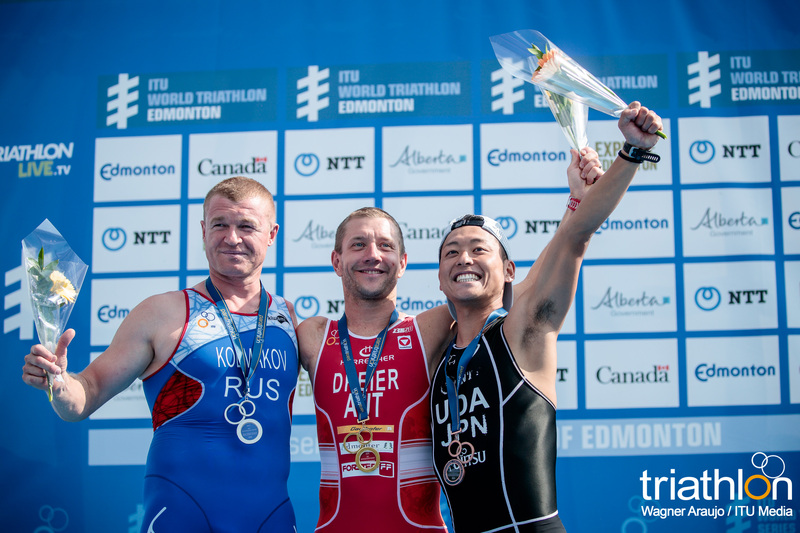 On the men’s side Oliver Dreier (AUT), Mikhail Kolmakou (RUS) and Hideki Uda (JPN) went top three. 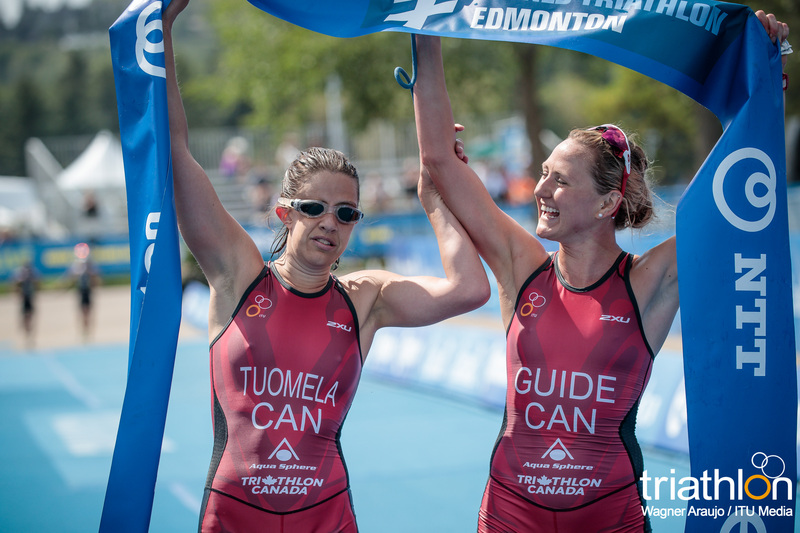 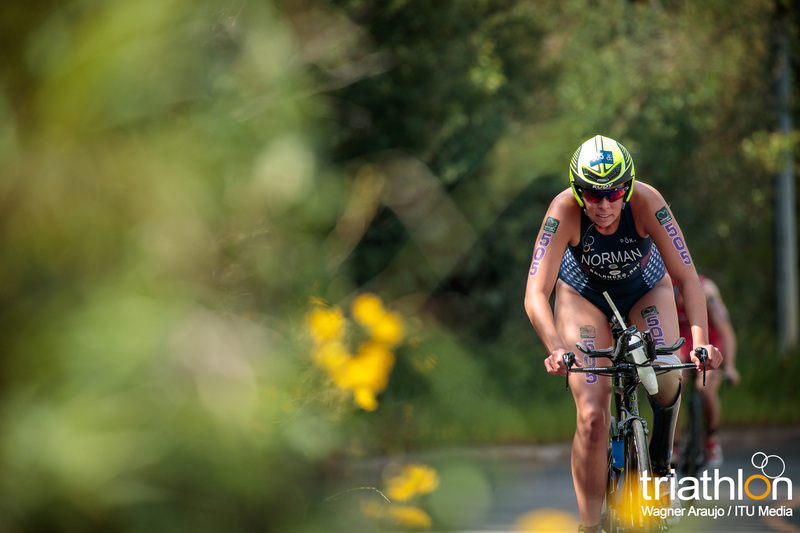 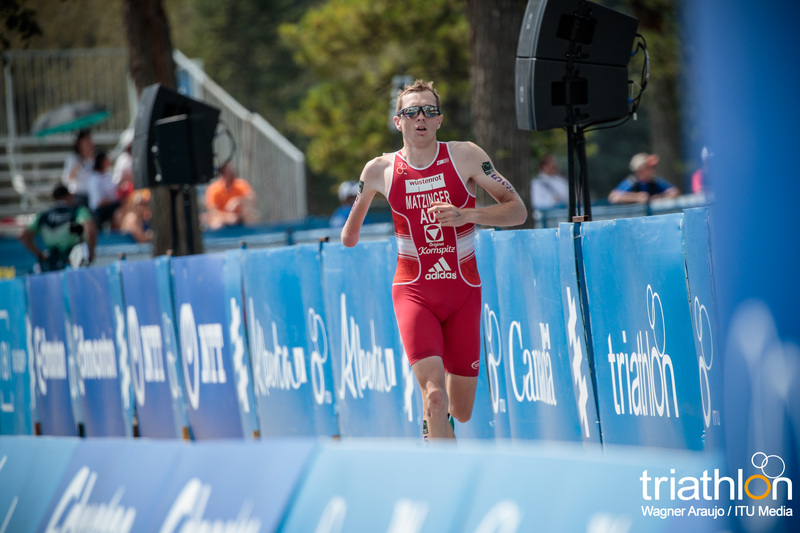 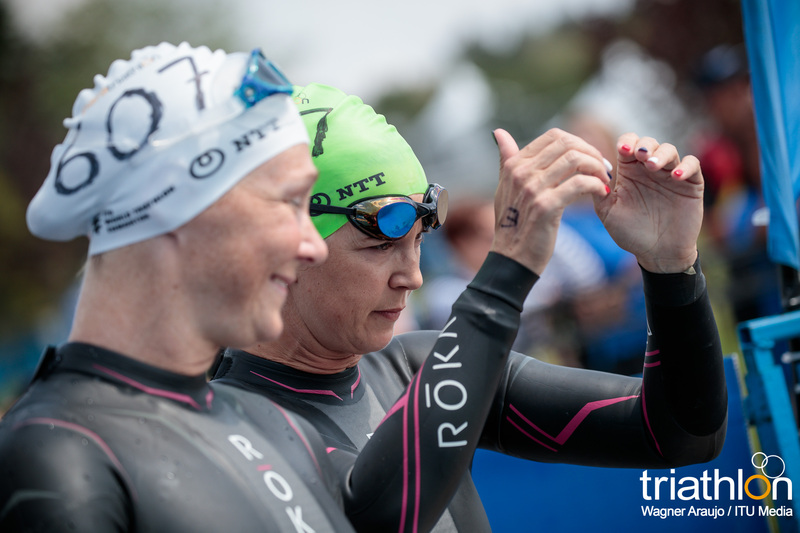 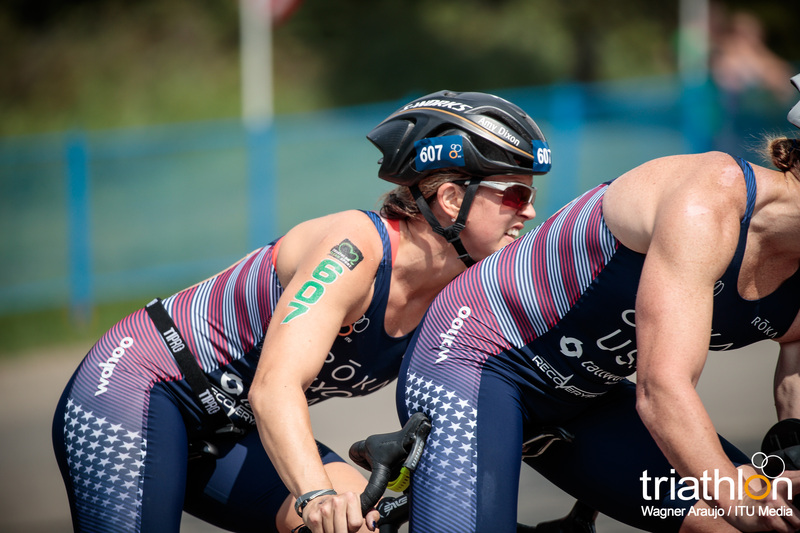 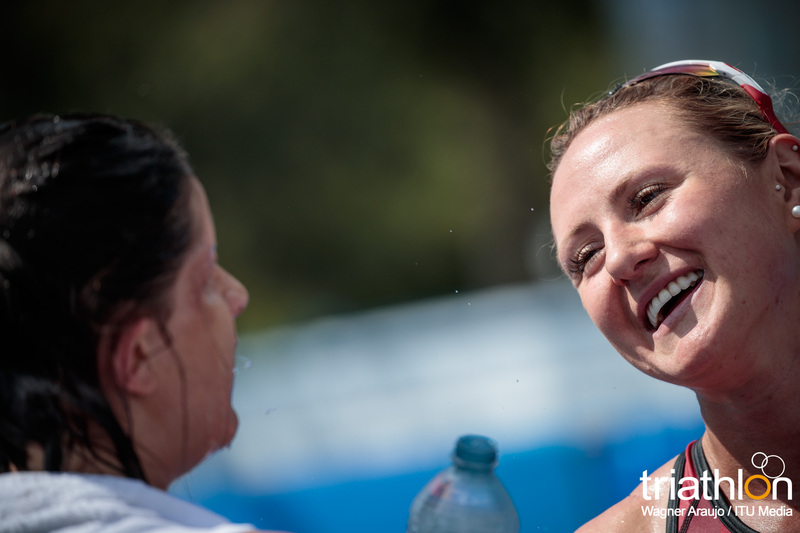 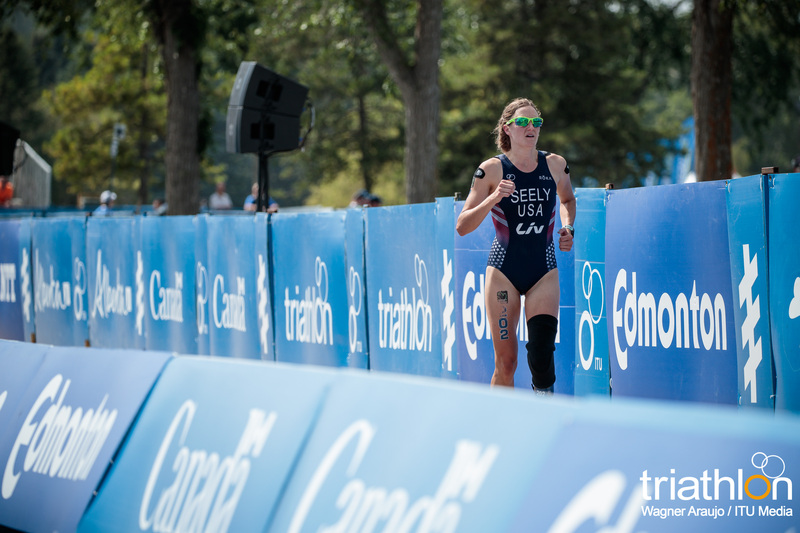 The PTVI divisions featured a number of Canadian podiums including Jessica Tuomela, who was victorious over Americans Elizabeth Baker and Amy Dixon. 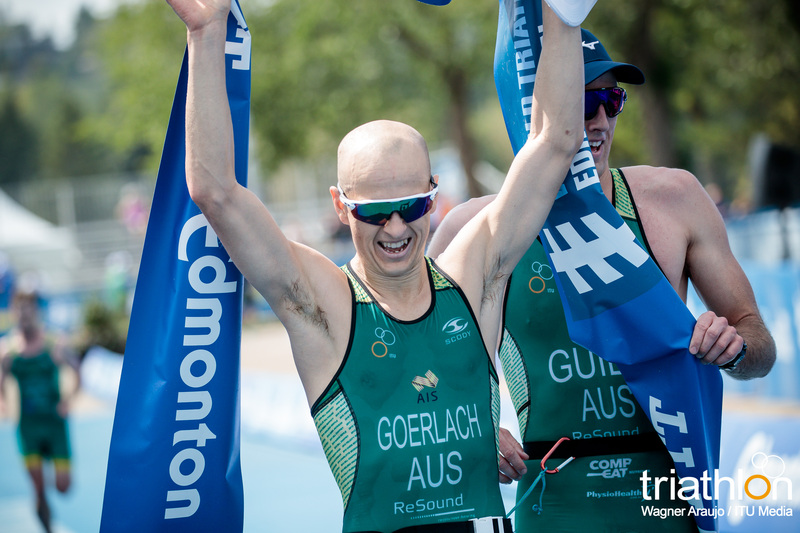 Five-time Australian National Champion Jonathan Goerlach bested Aaron Scheidies (USA) and Jon Dunkerley (CAN) followed behind in third. 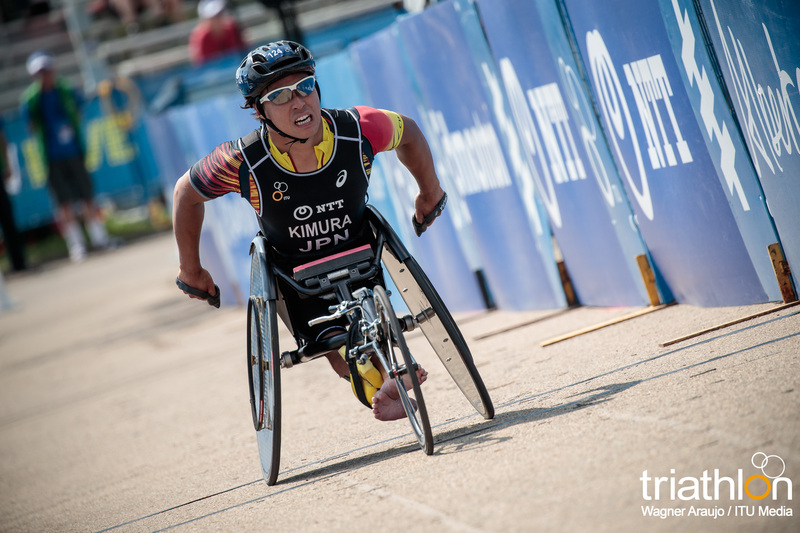 Wakako Tsuchida of Japan and Alexandre Paviza of France were the winners of the PTWC classification. 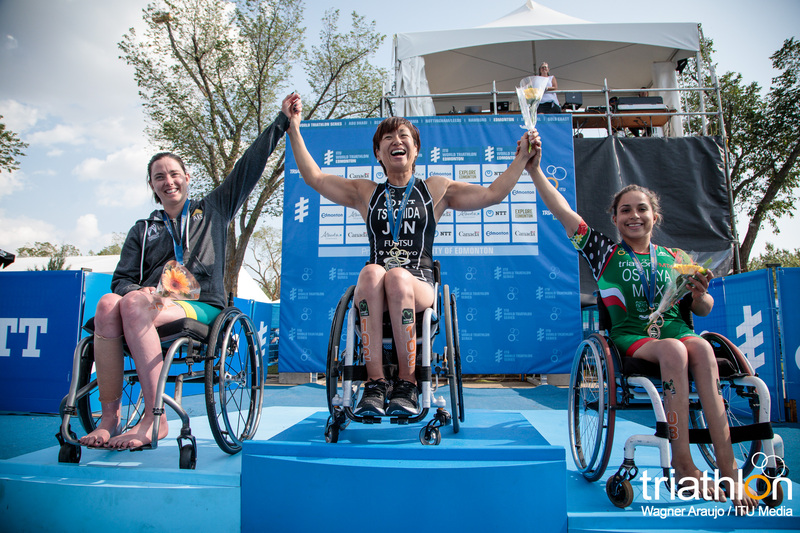 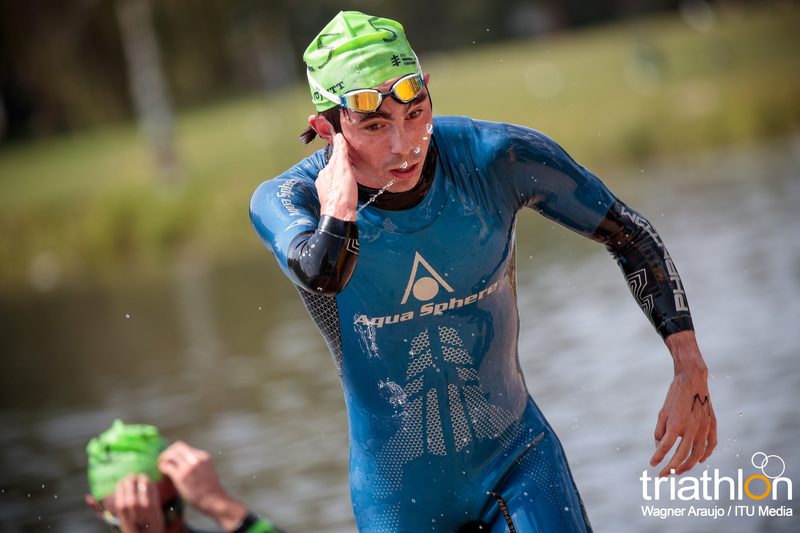 Emily Tapp (AUS) and Brenda Osnaya Alvarez (MEX) finished in the silver and bronze positions in the women’s race and Ahmed Andaloussi (FRA) and Jumpei Kimura (JPN) in the silver and bronze on the mens side.